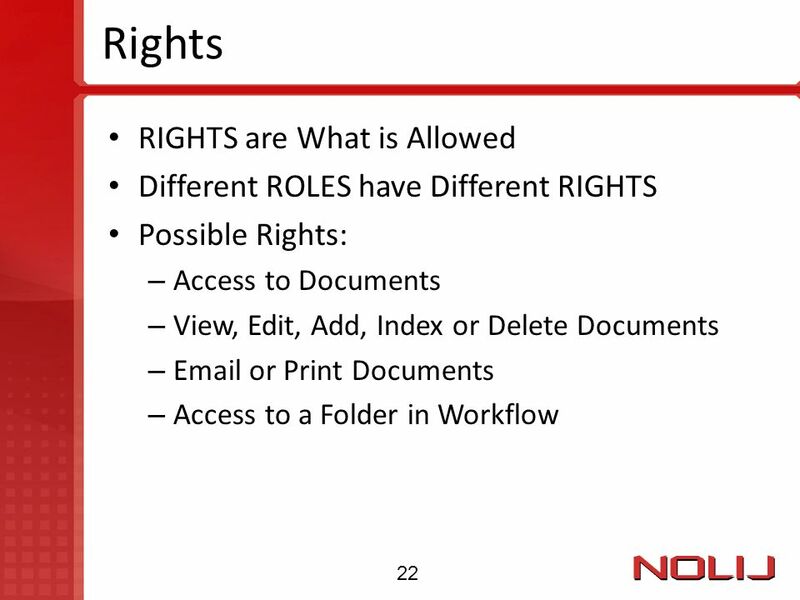 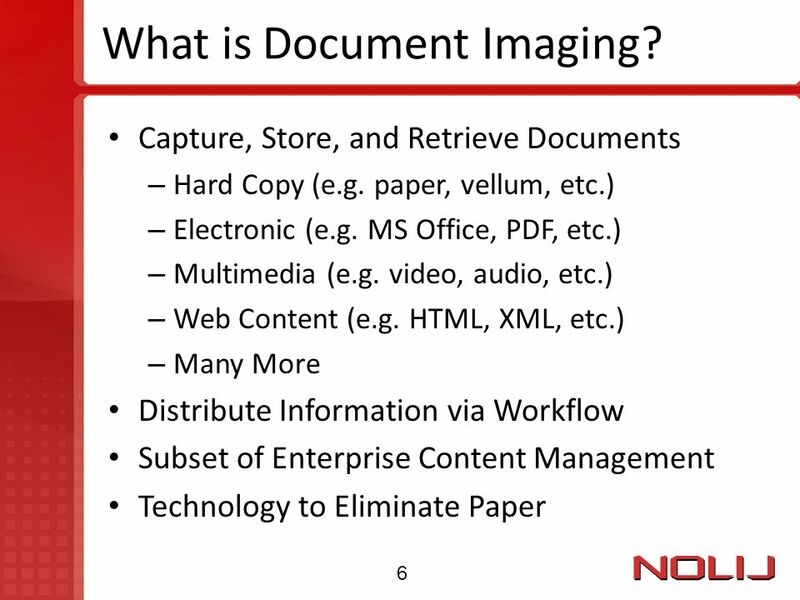 6 What is Document Imaging? 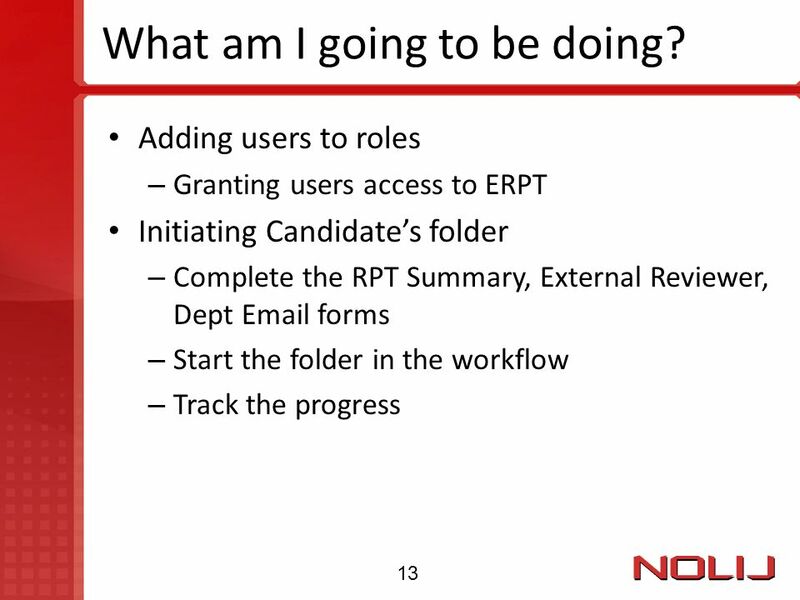 13 What am I going to be doing? 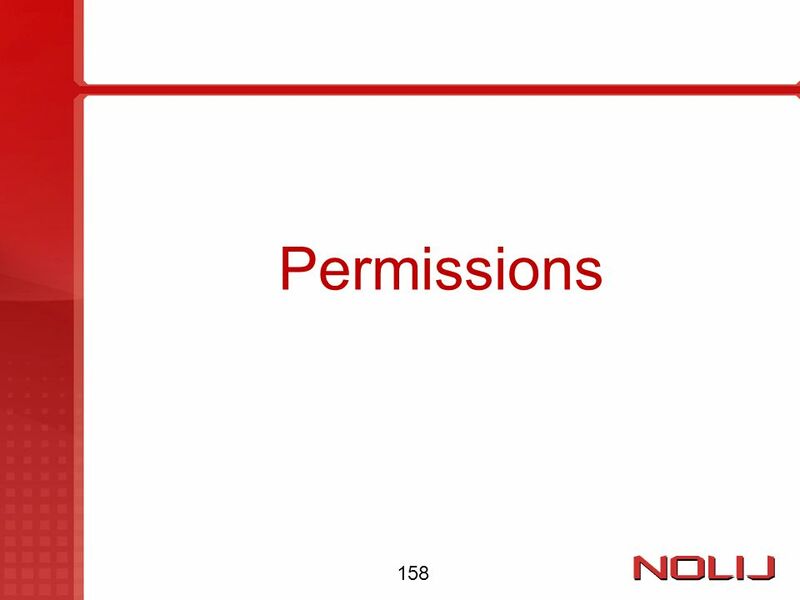 14 What am I going to be doing? 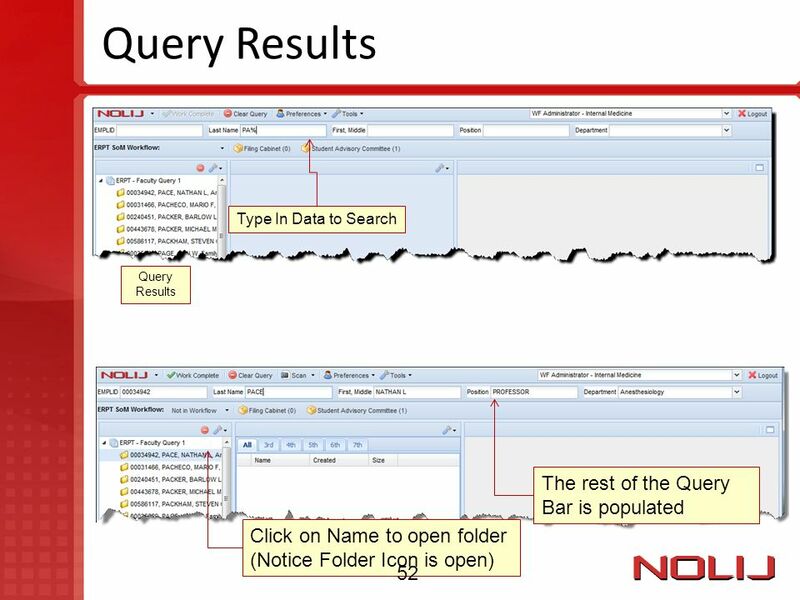 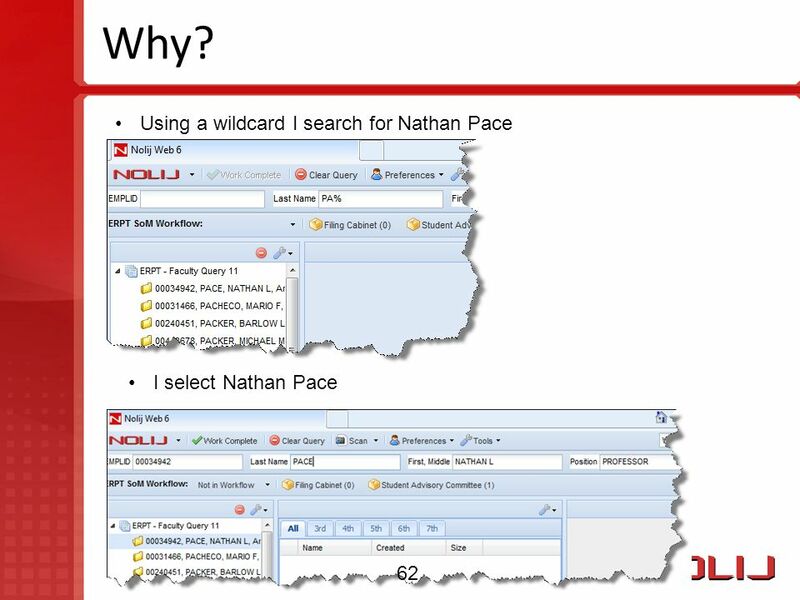 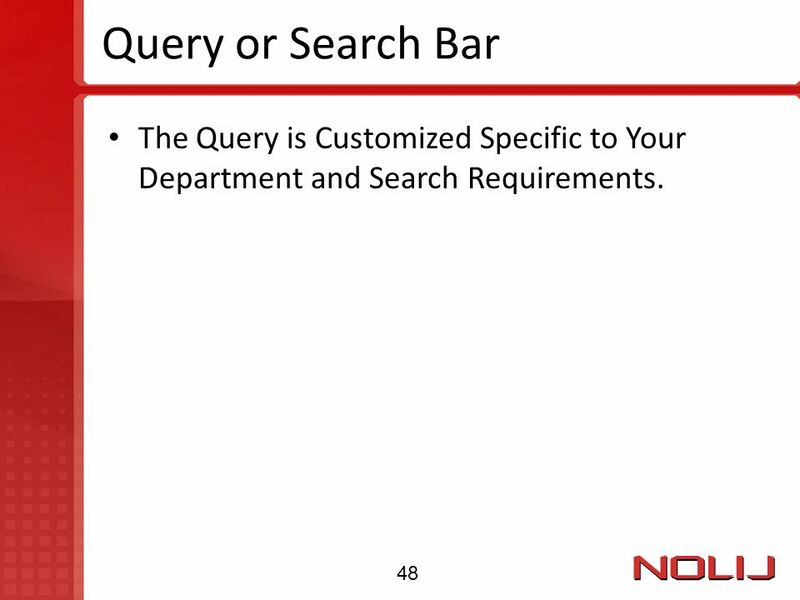 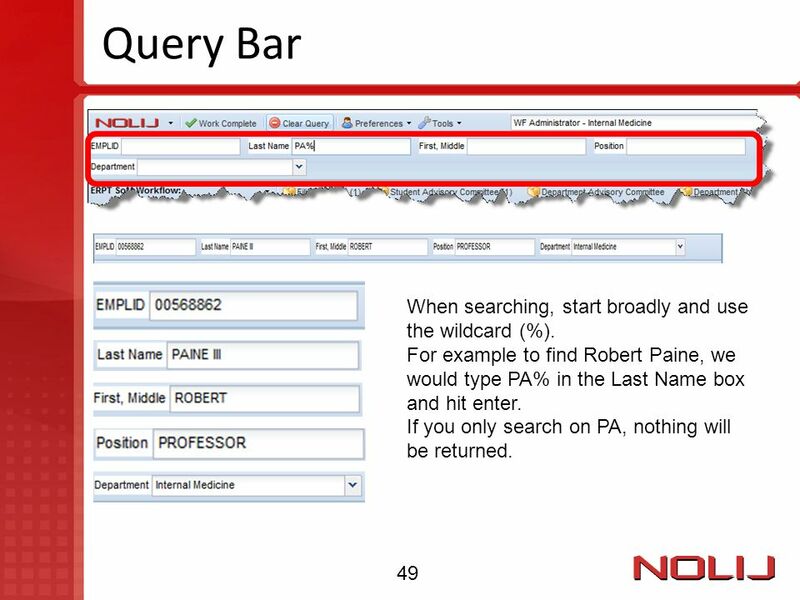 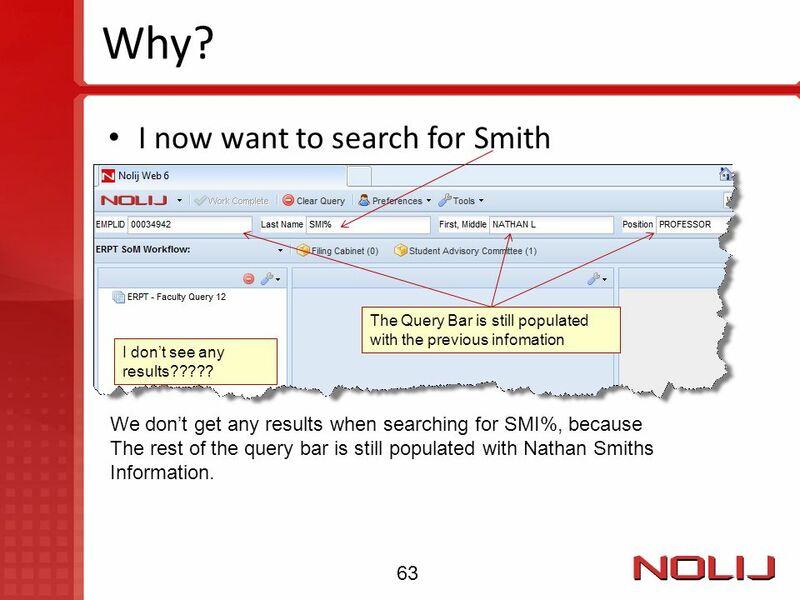 49 Query Bar When searching, start broadly and use the wildcard (%). 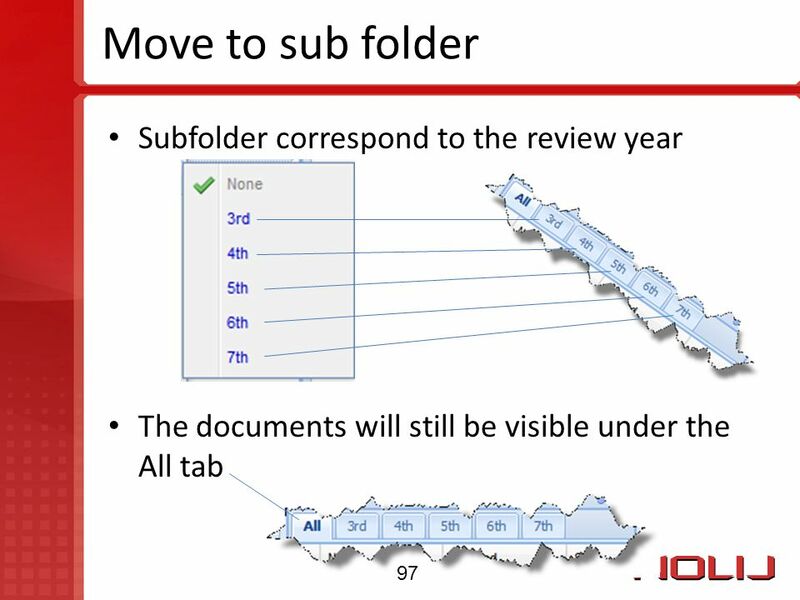 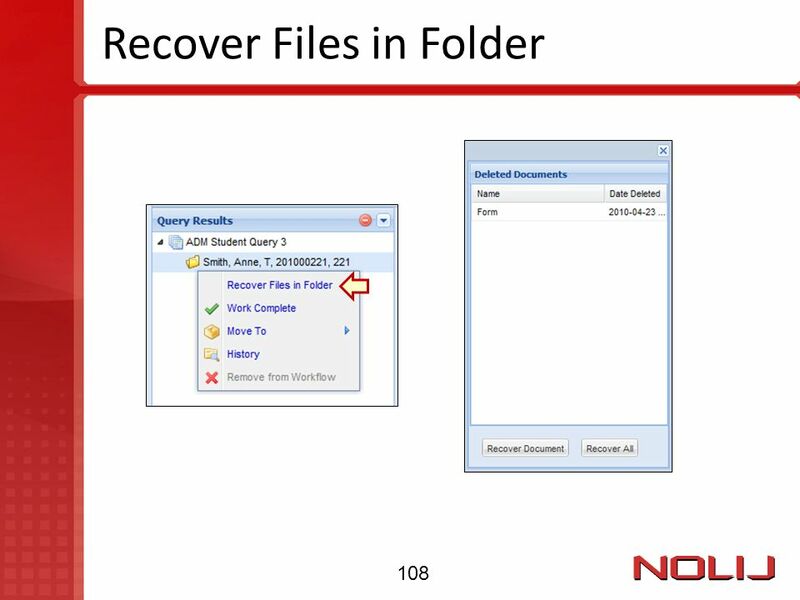 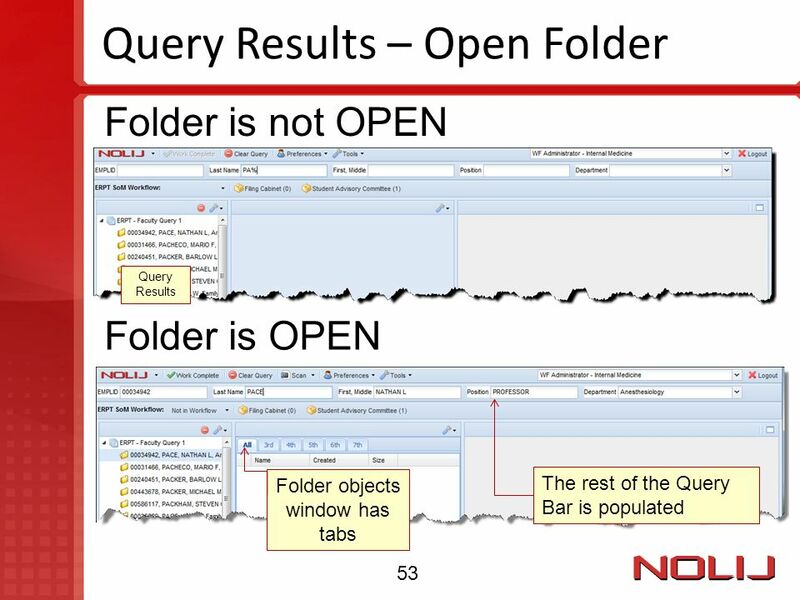 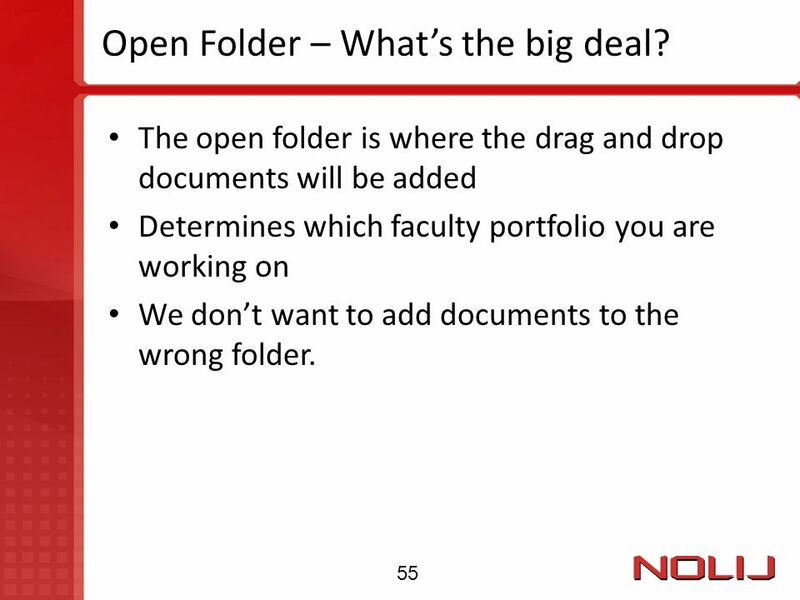 55 Open Folder – What’s the big deal? 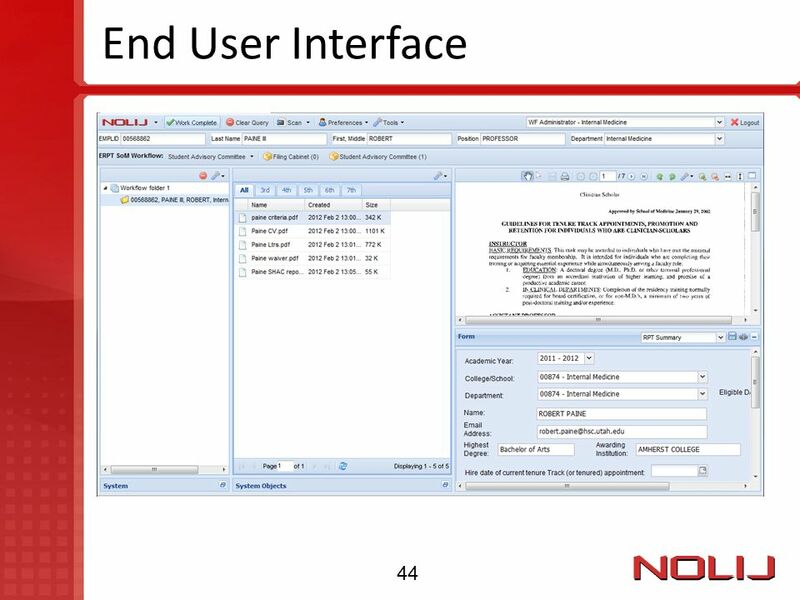 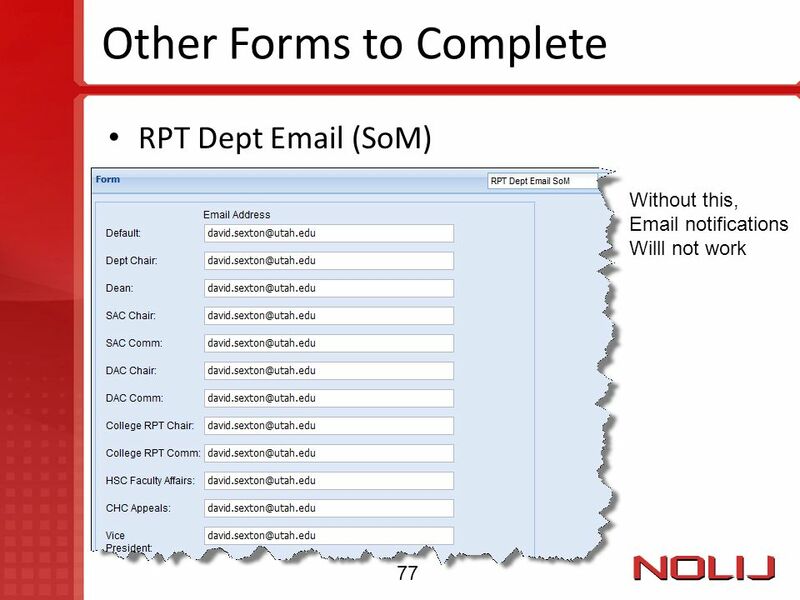 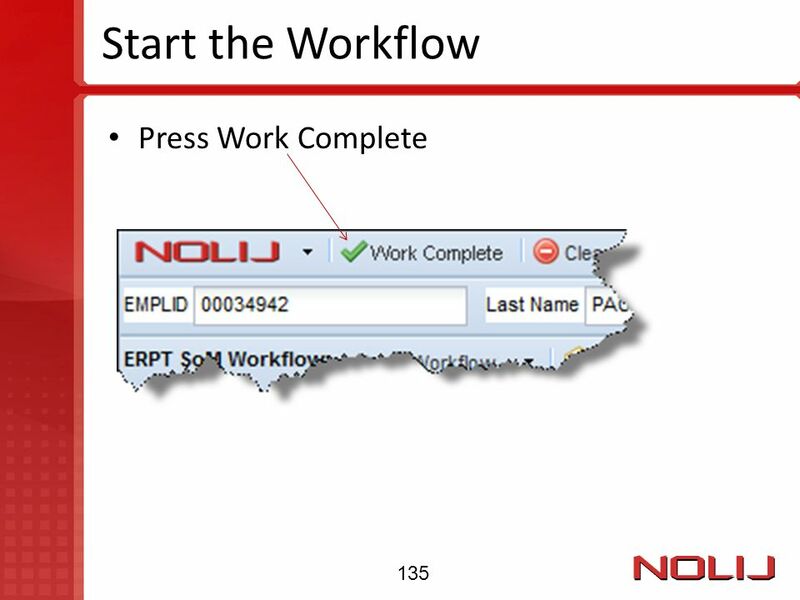 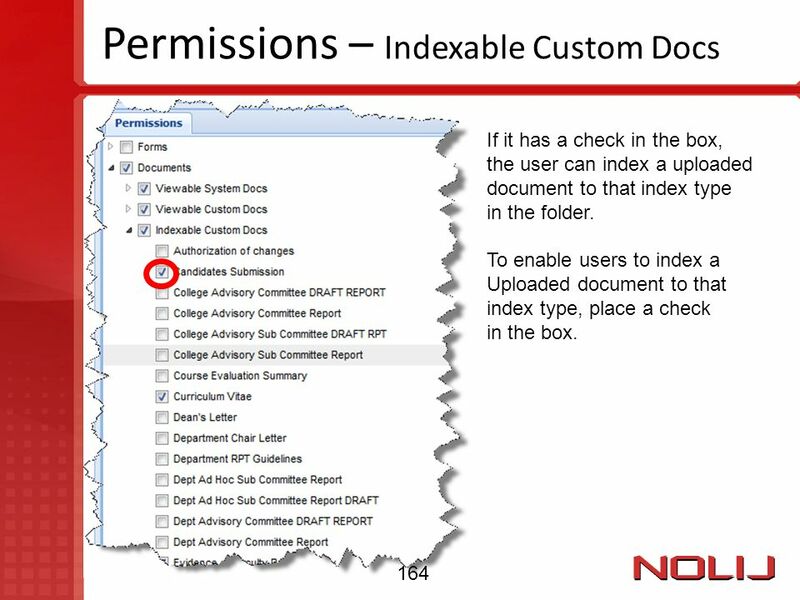 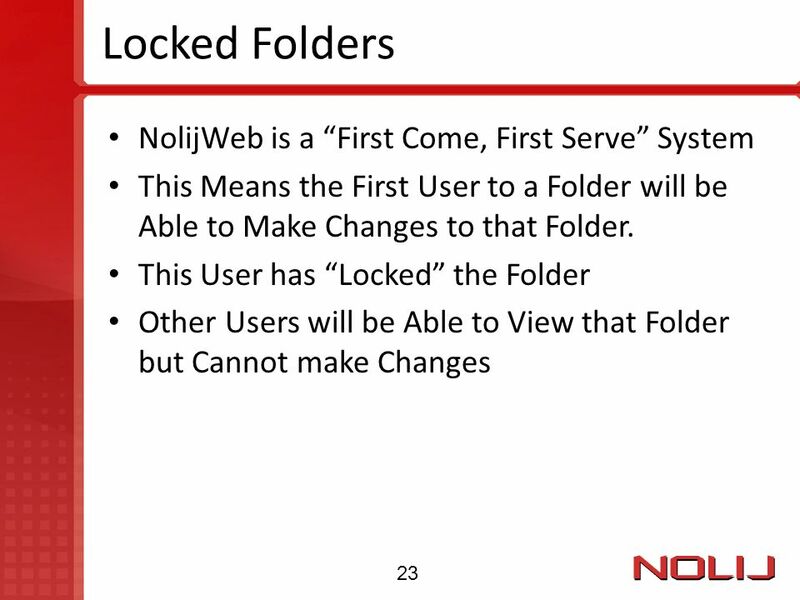 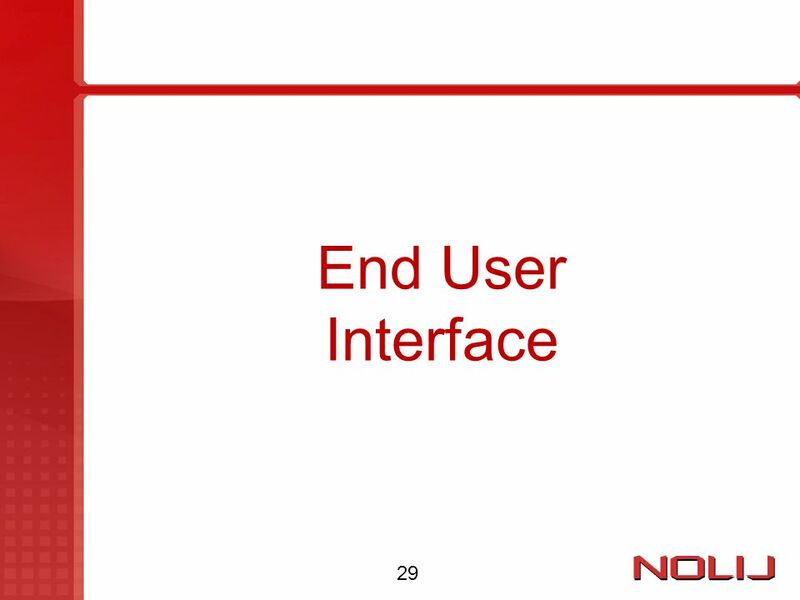 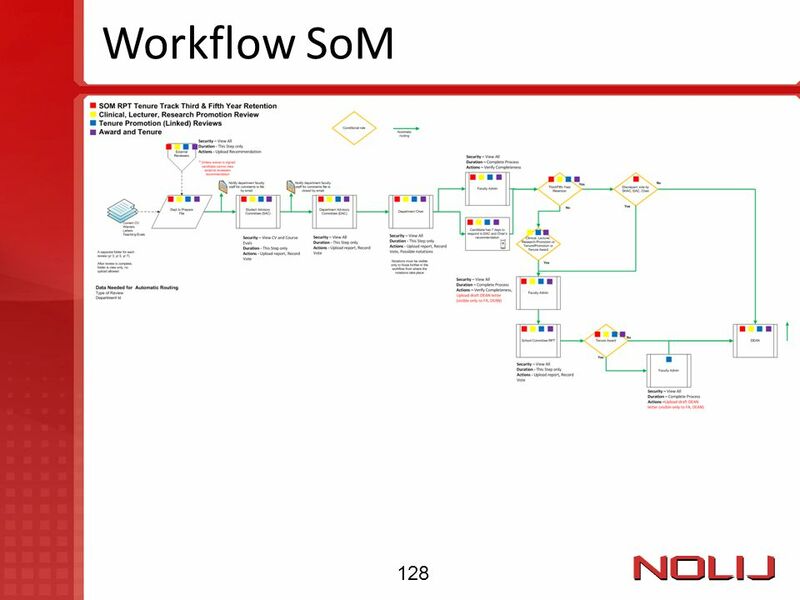 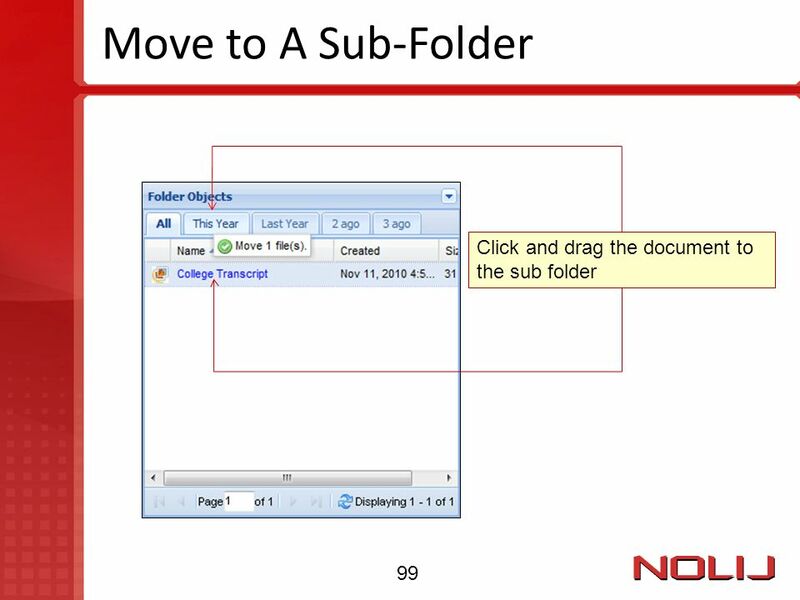 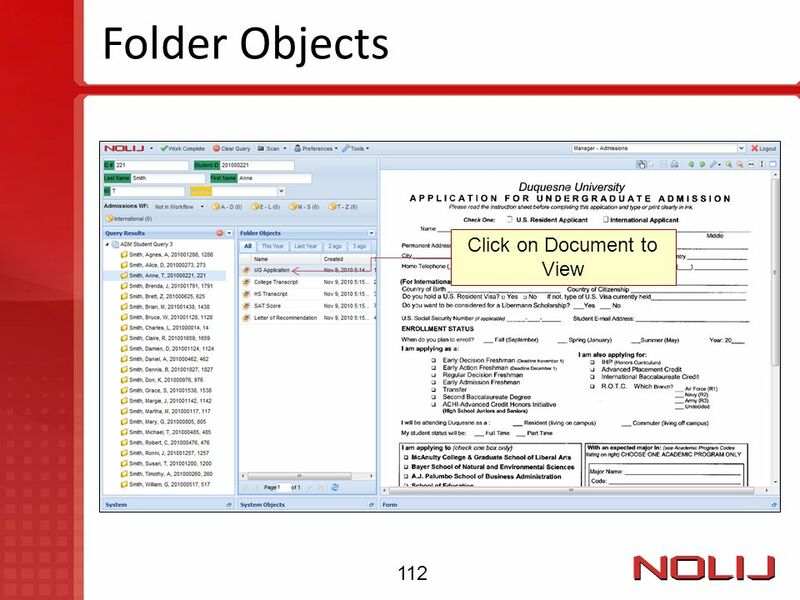 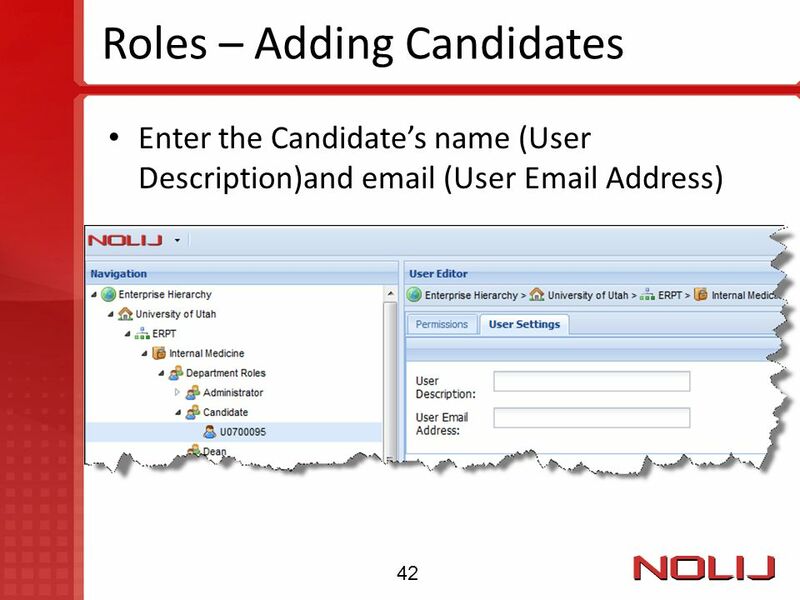 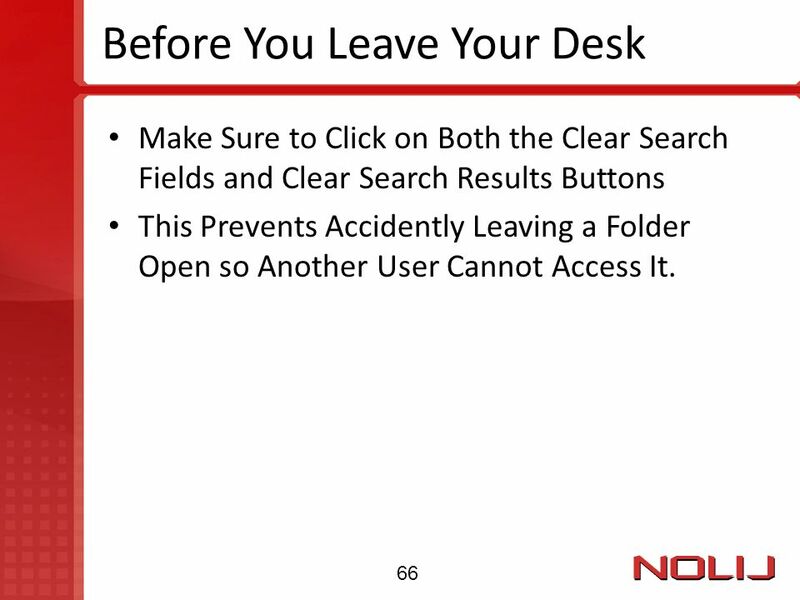 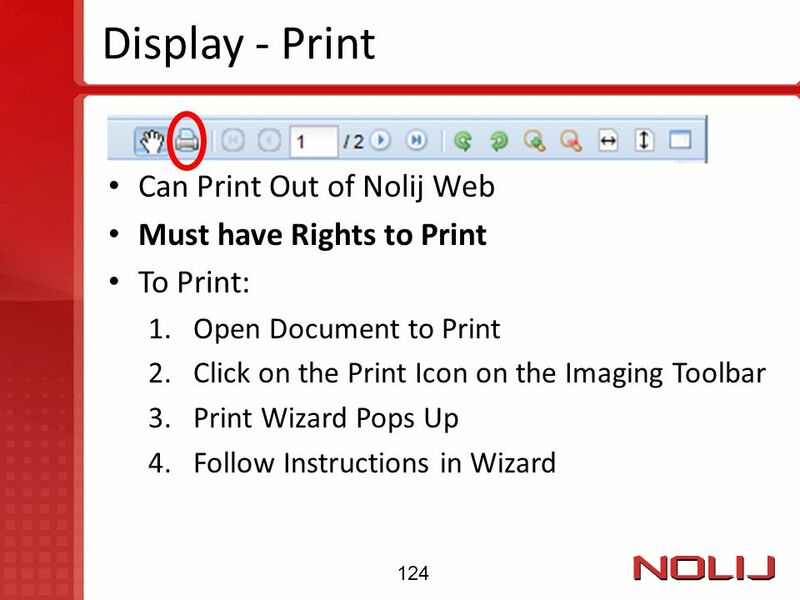 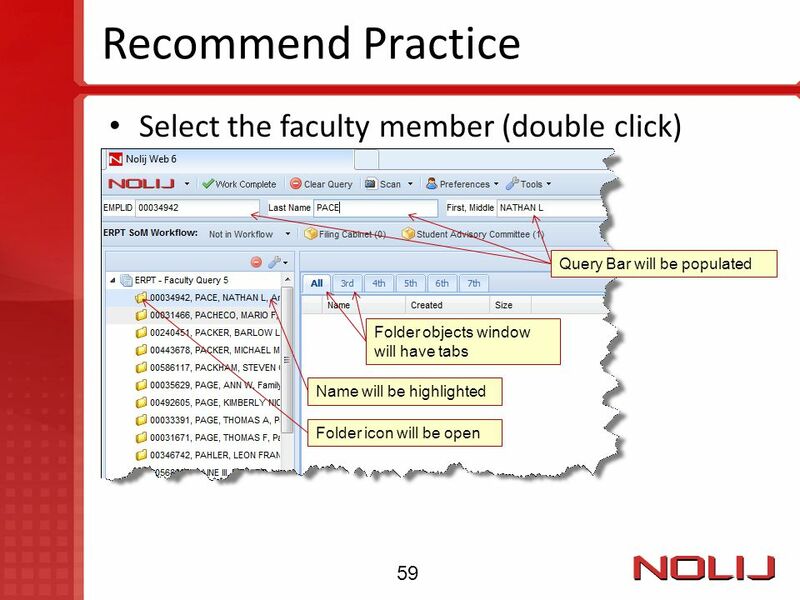 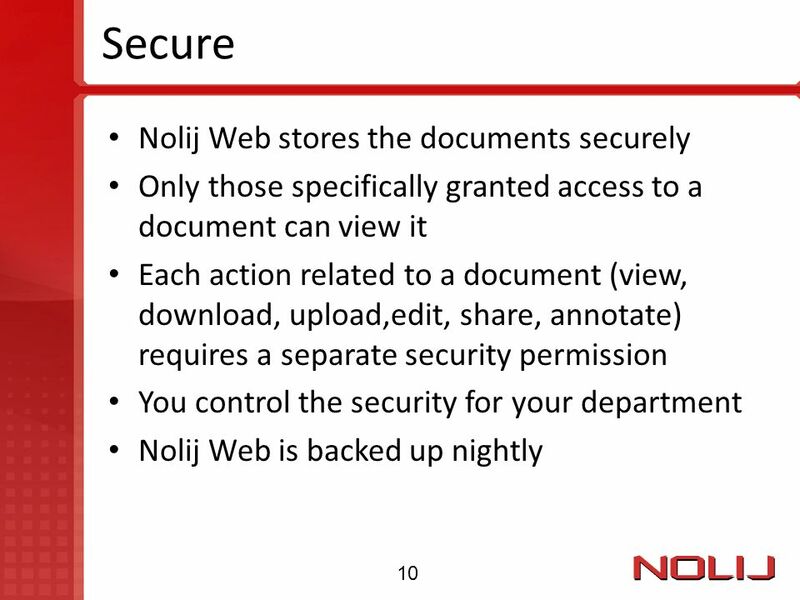 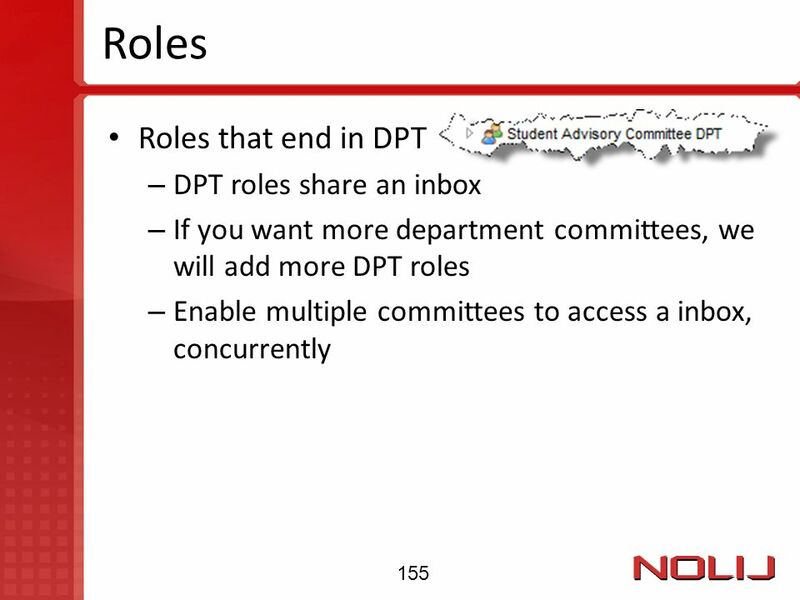 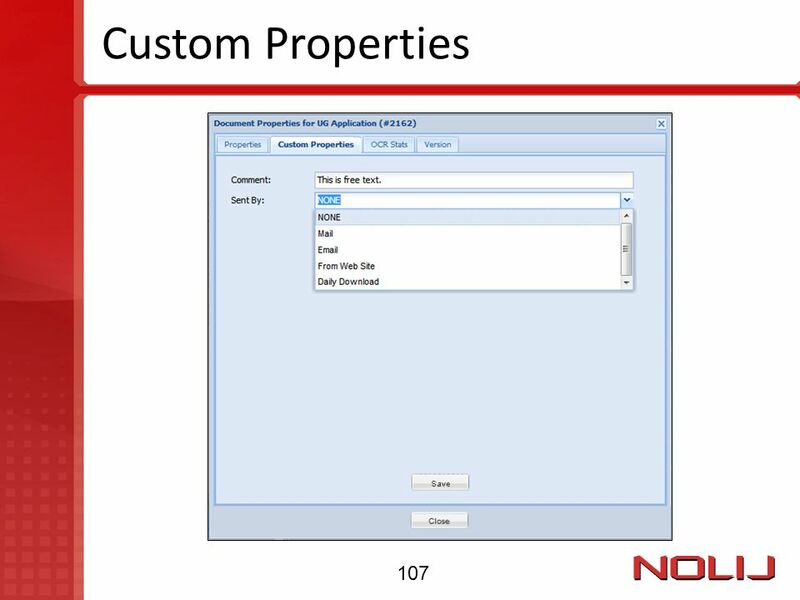 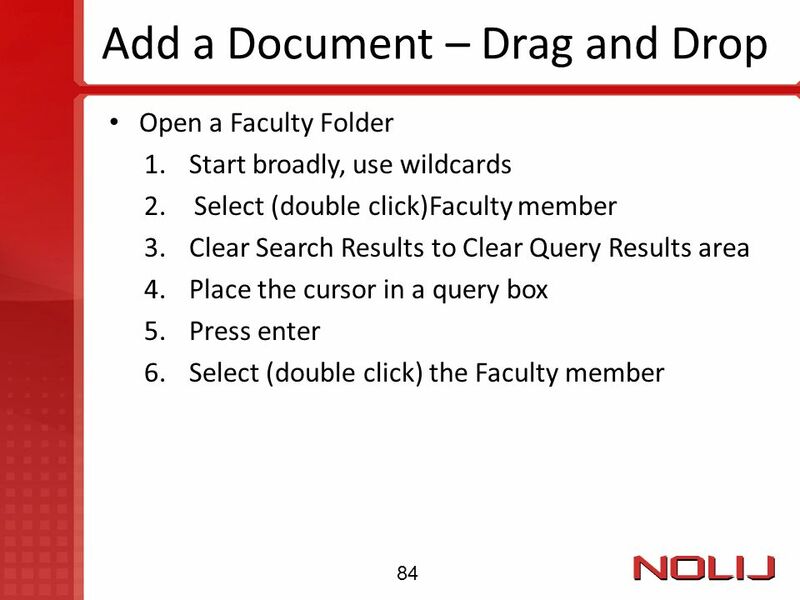 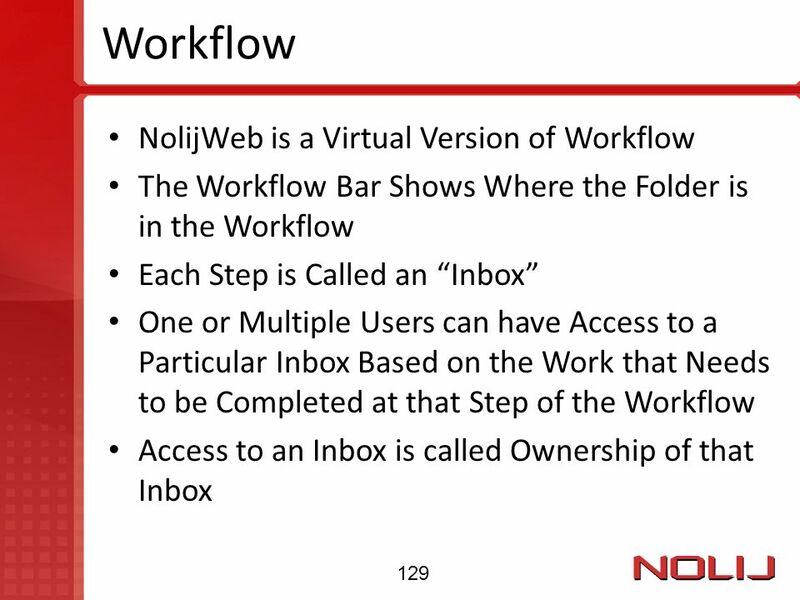 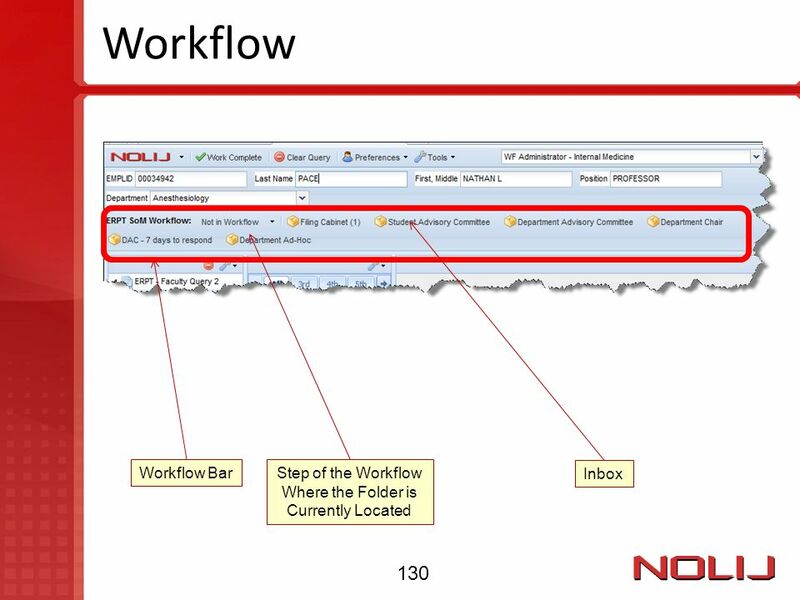 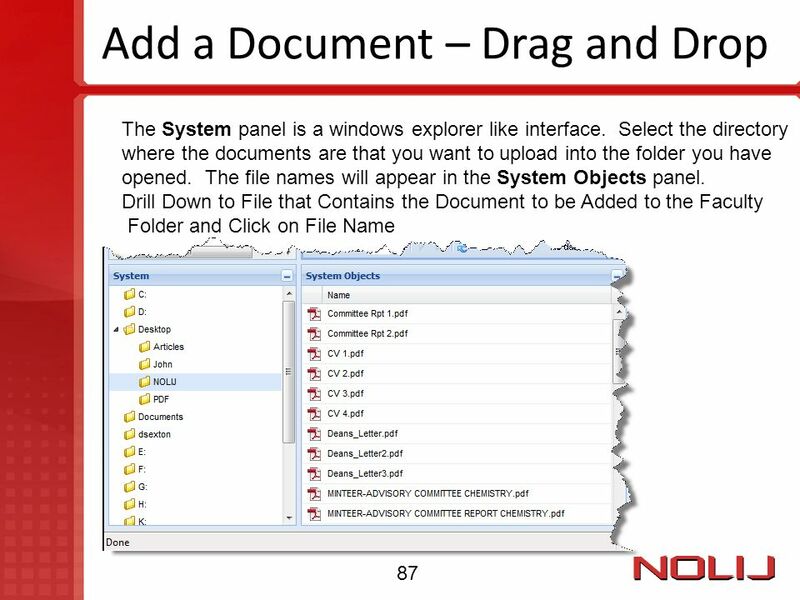 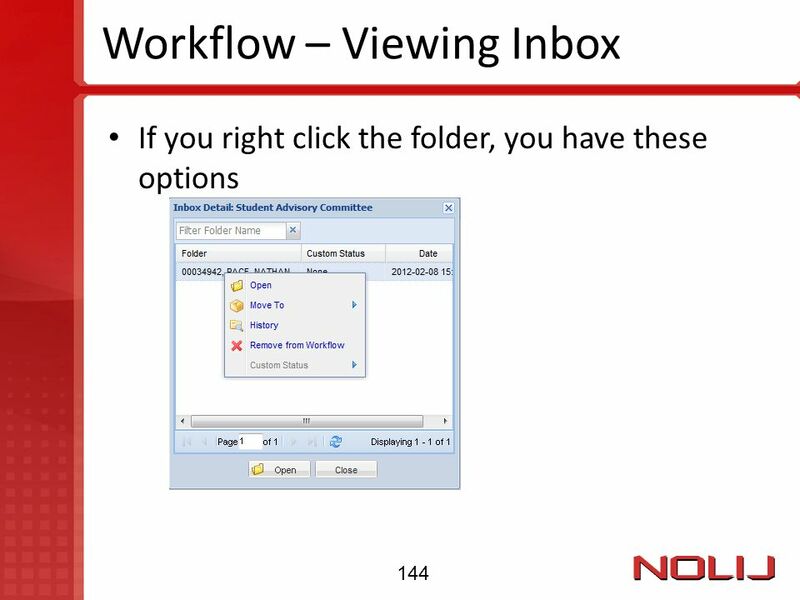 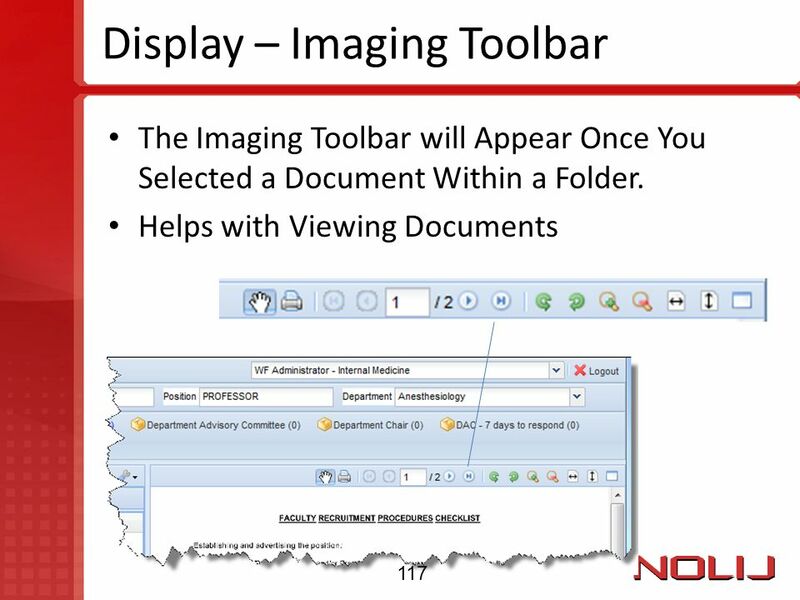 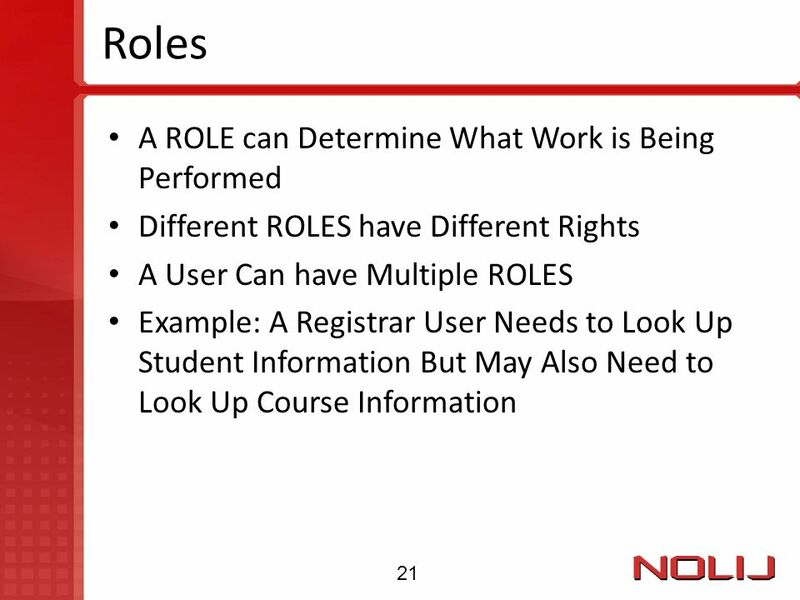 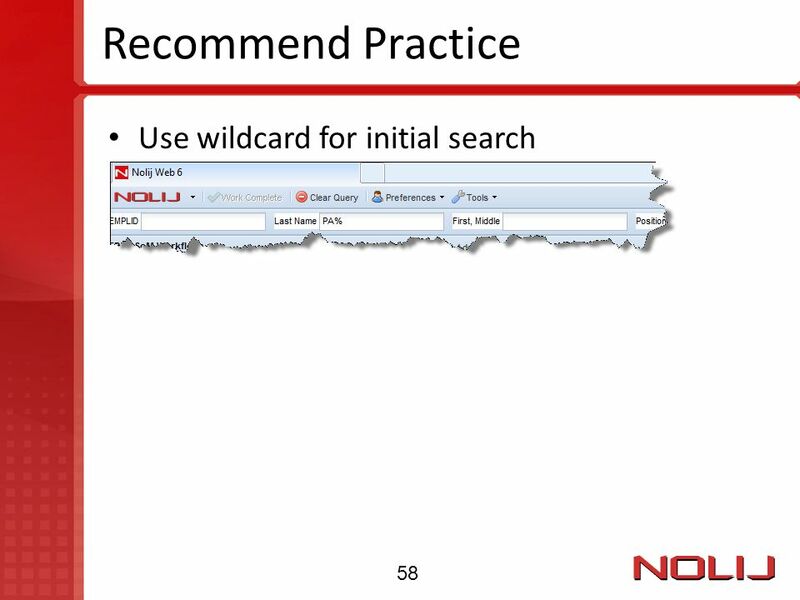 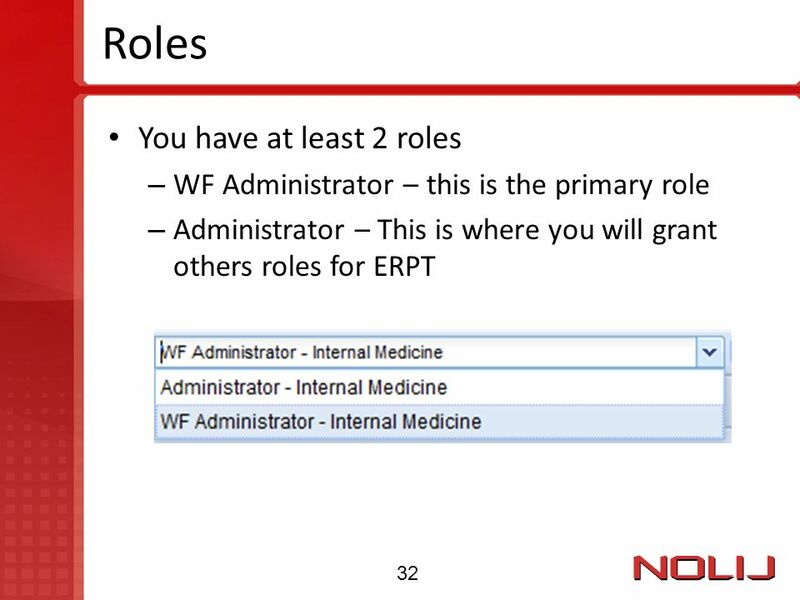 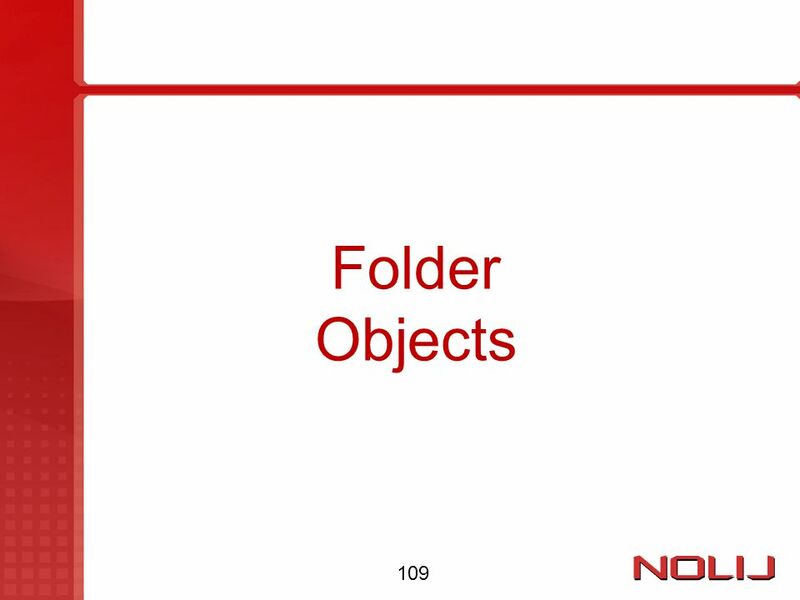 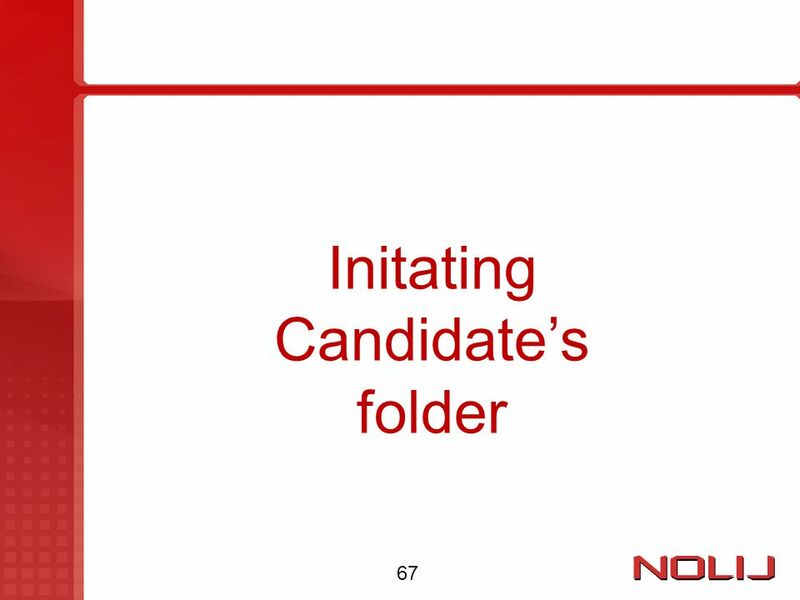 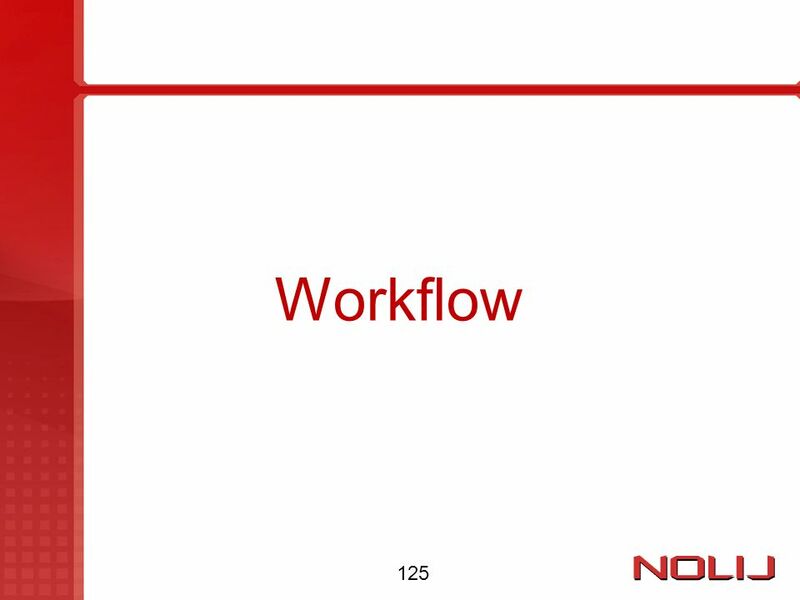 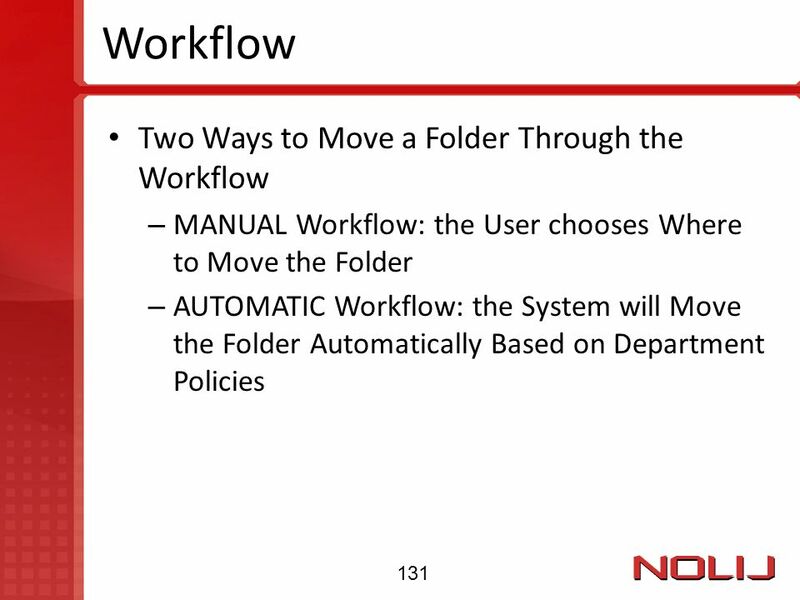 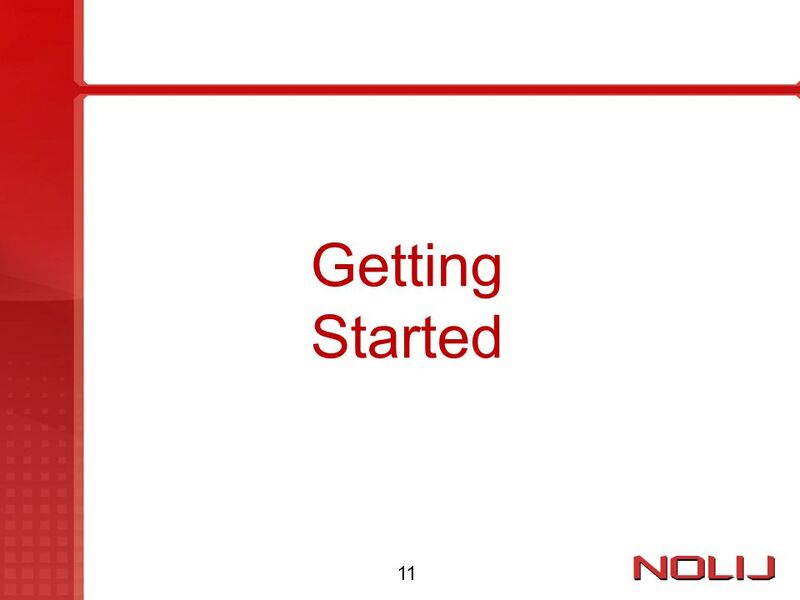 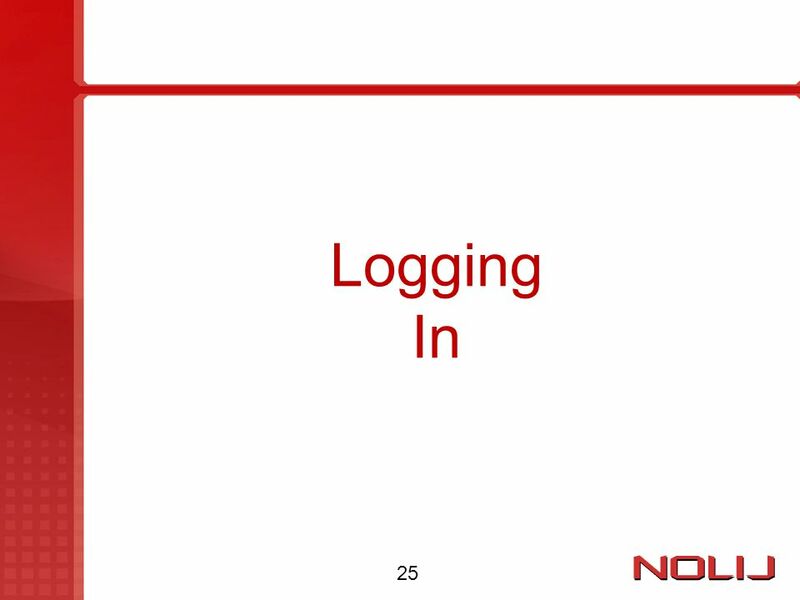 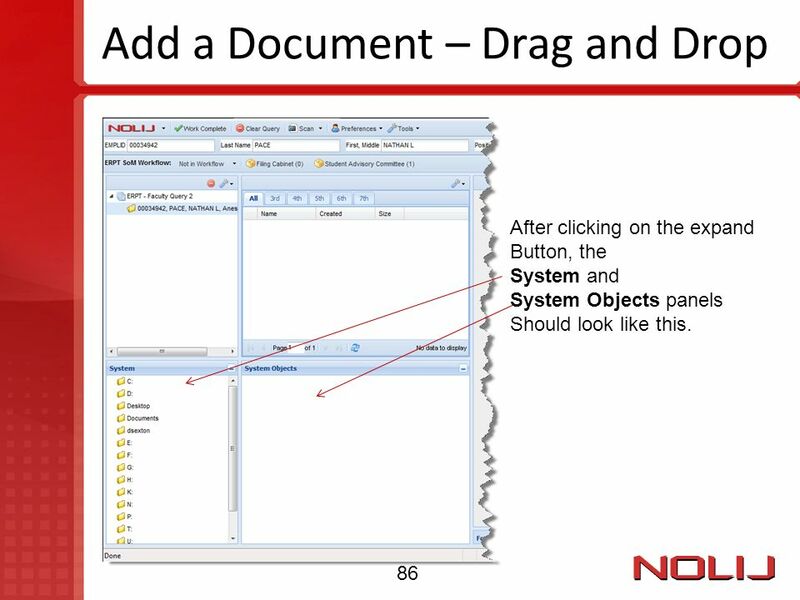 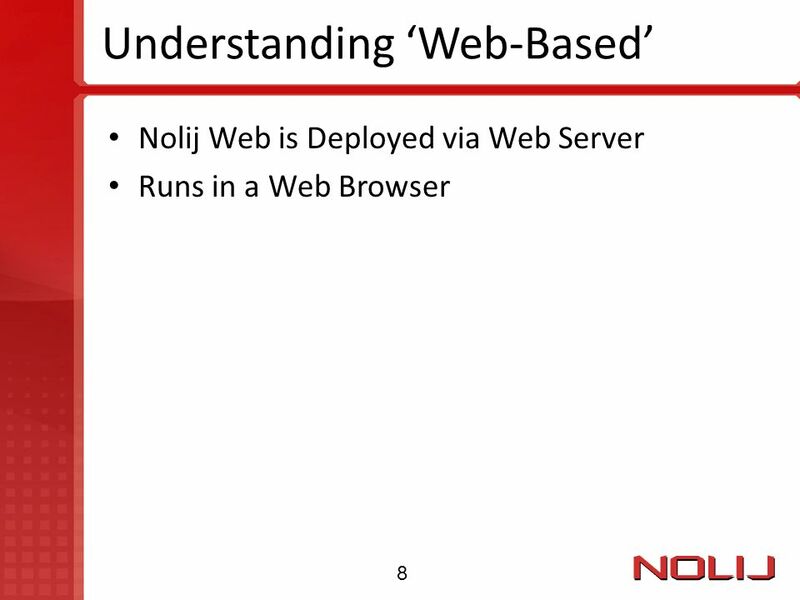 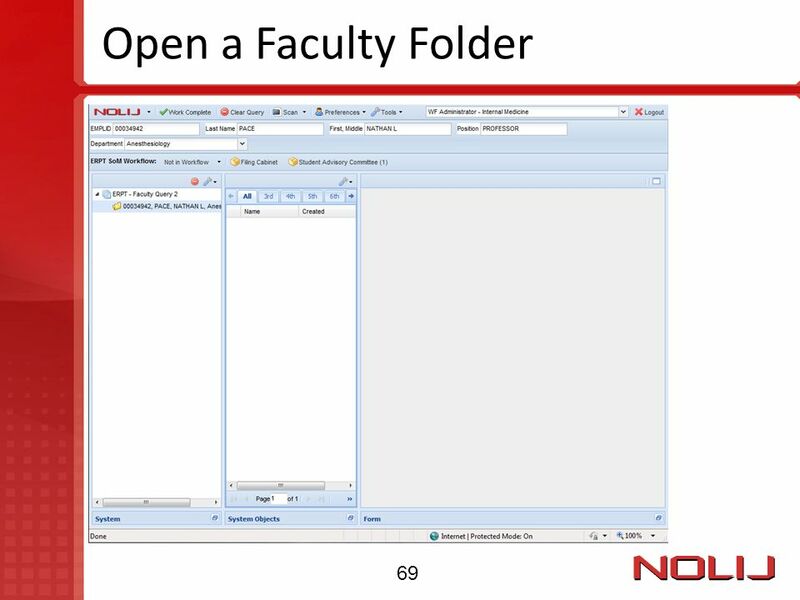 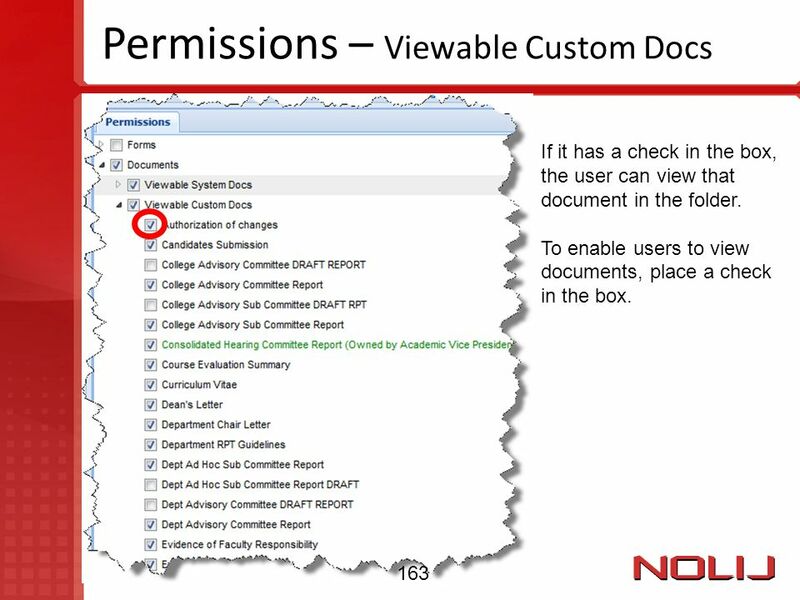 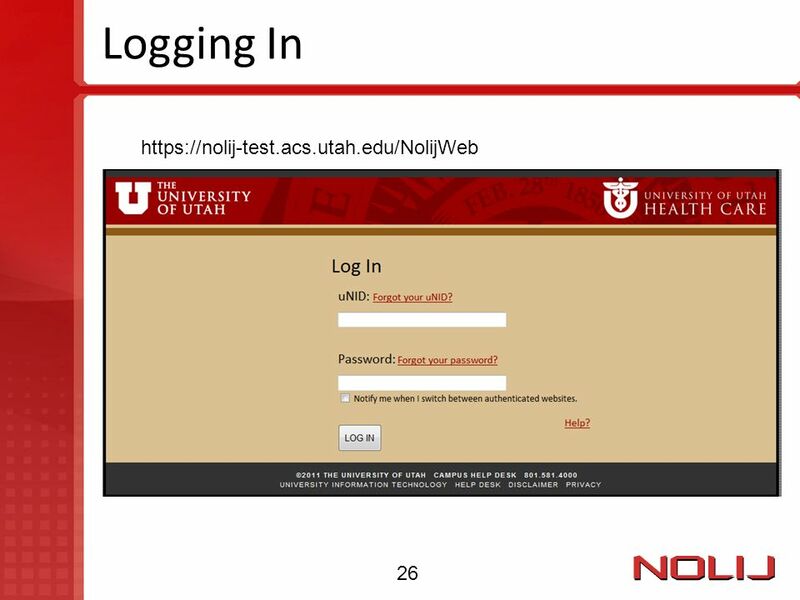 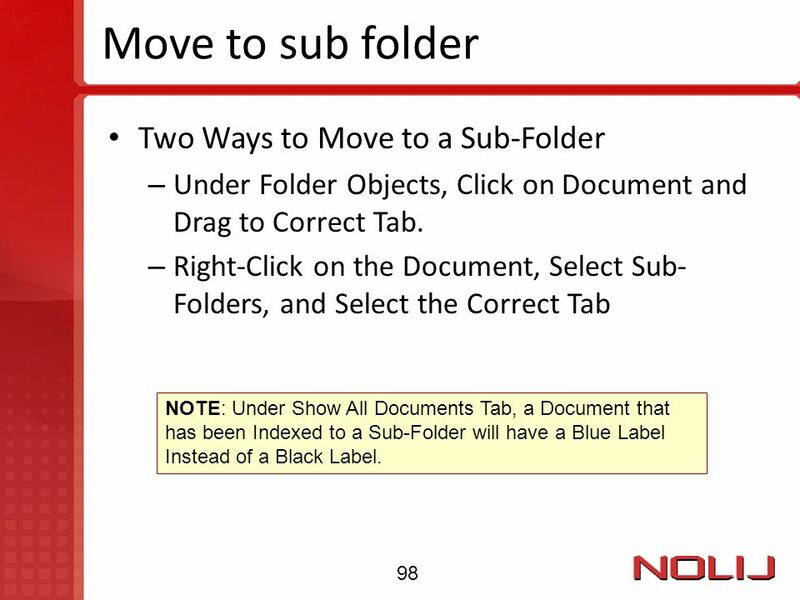 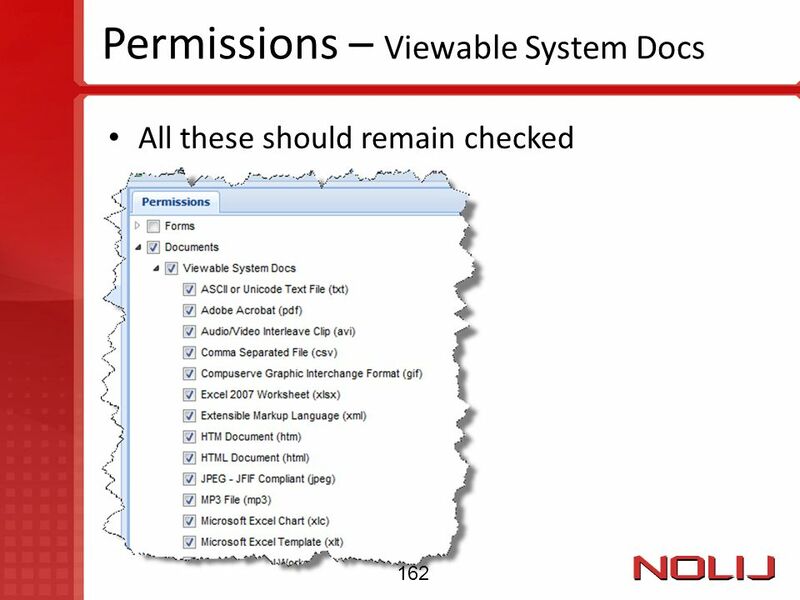 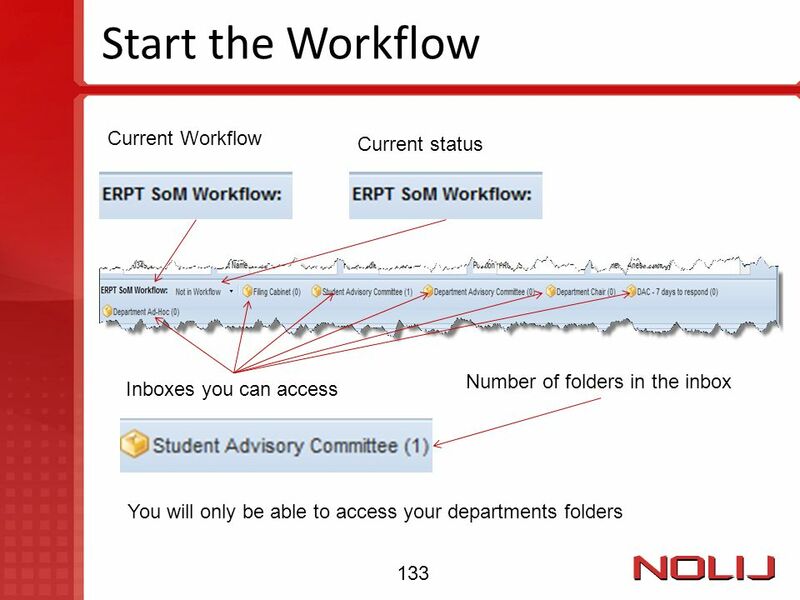 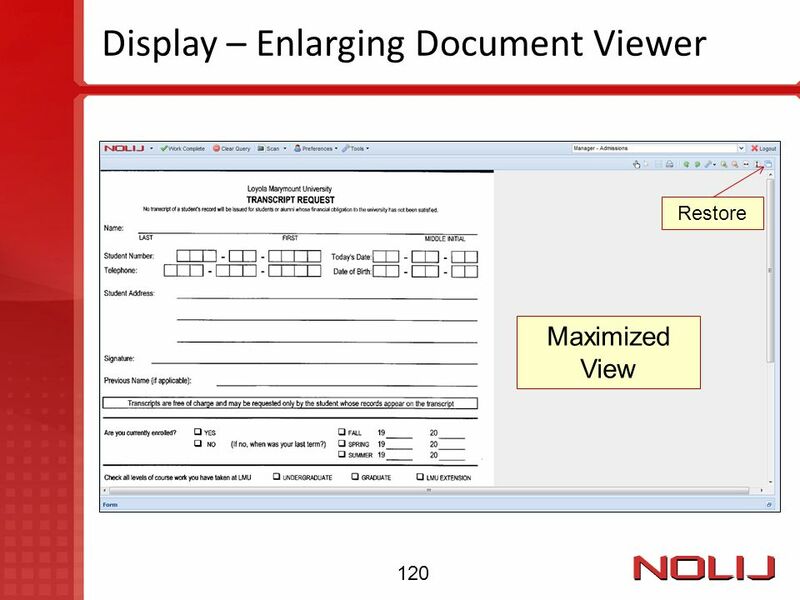 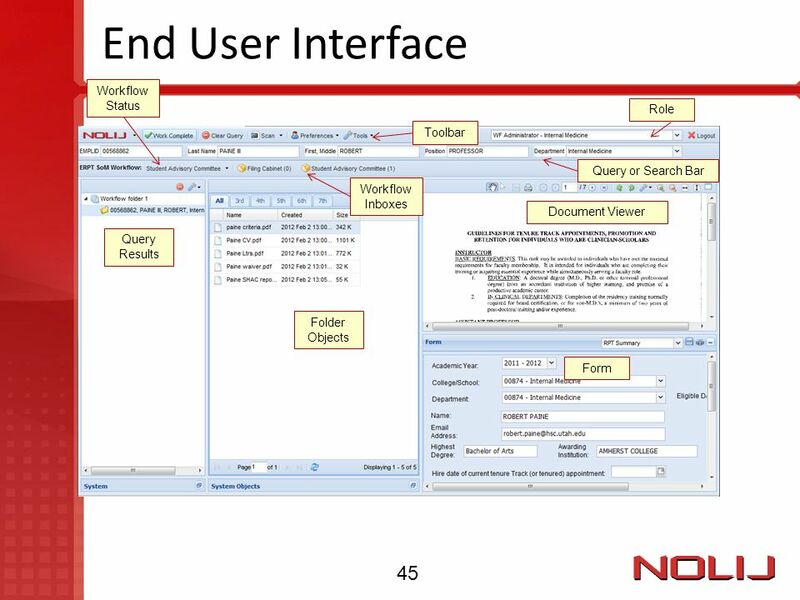 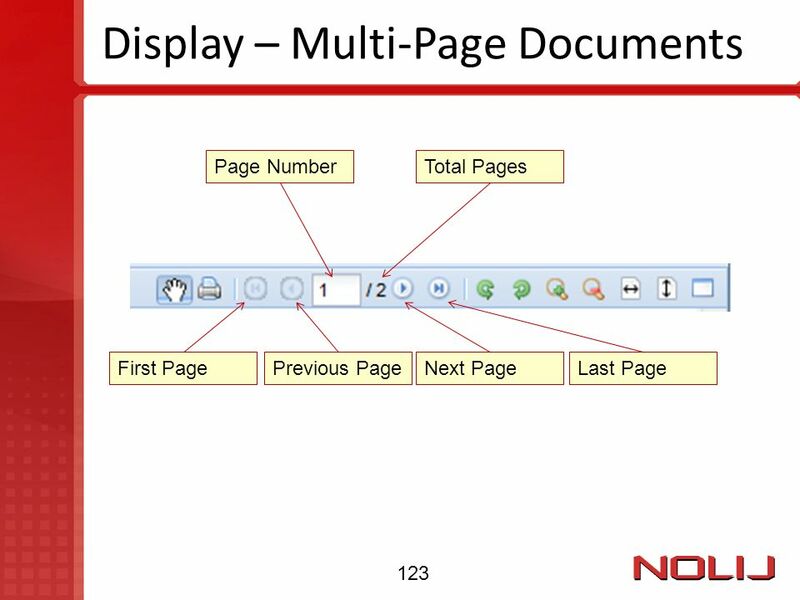 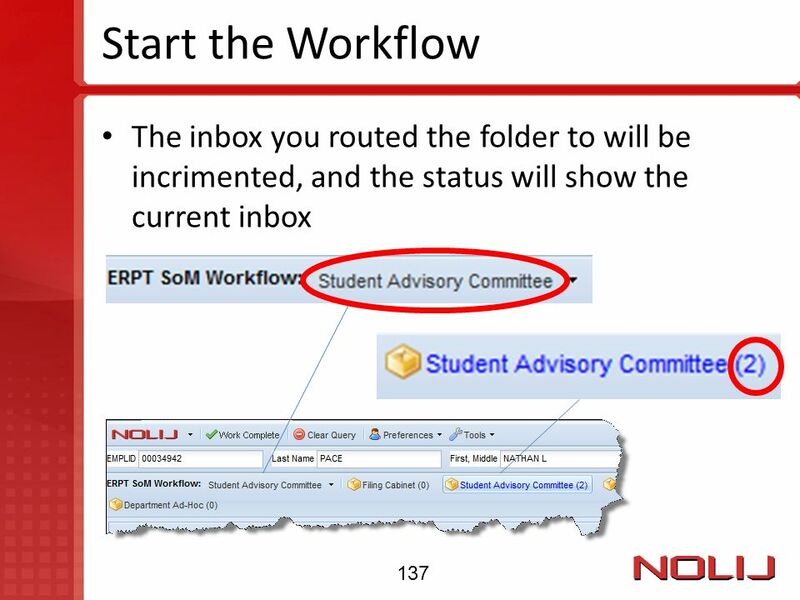 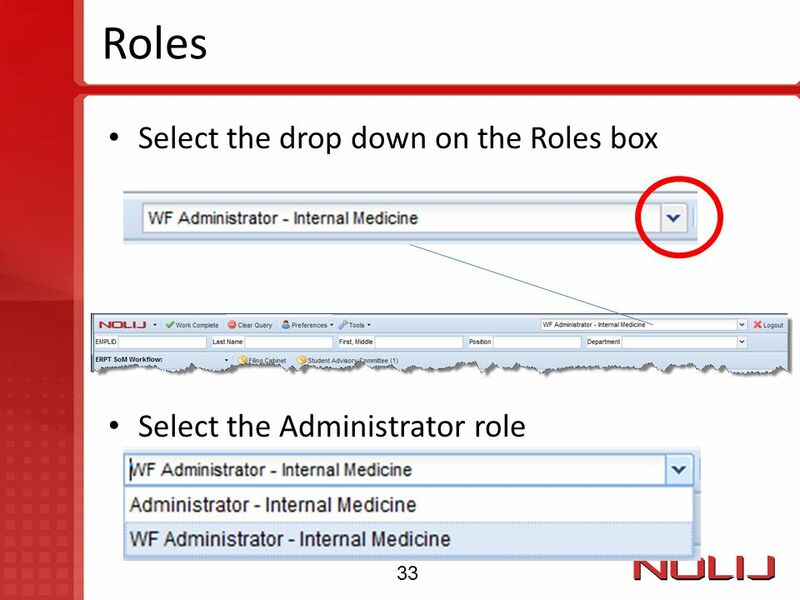 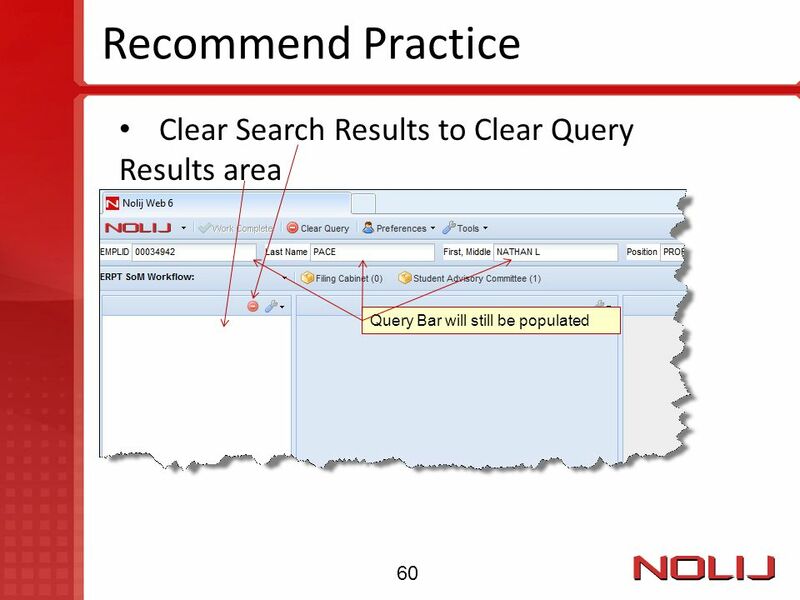 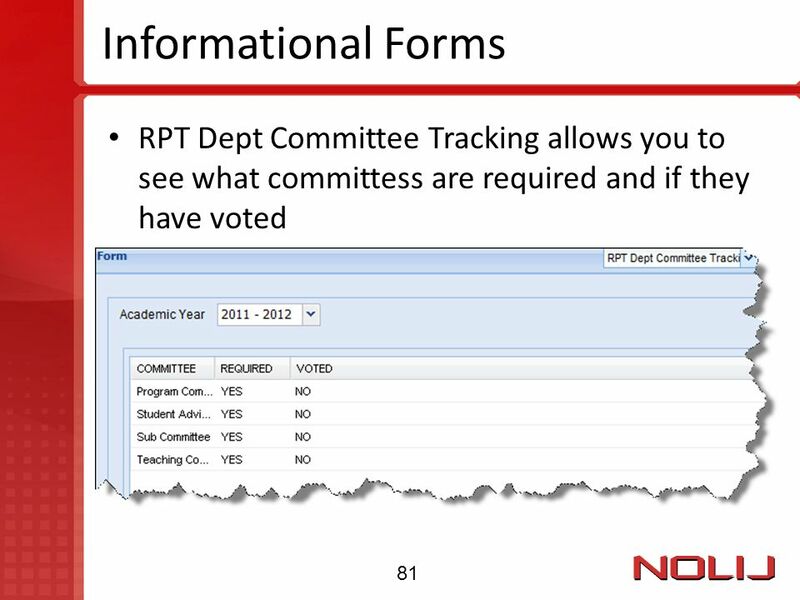 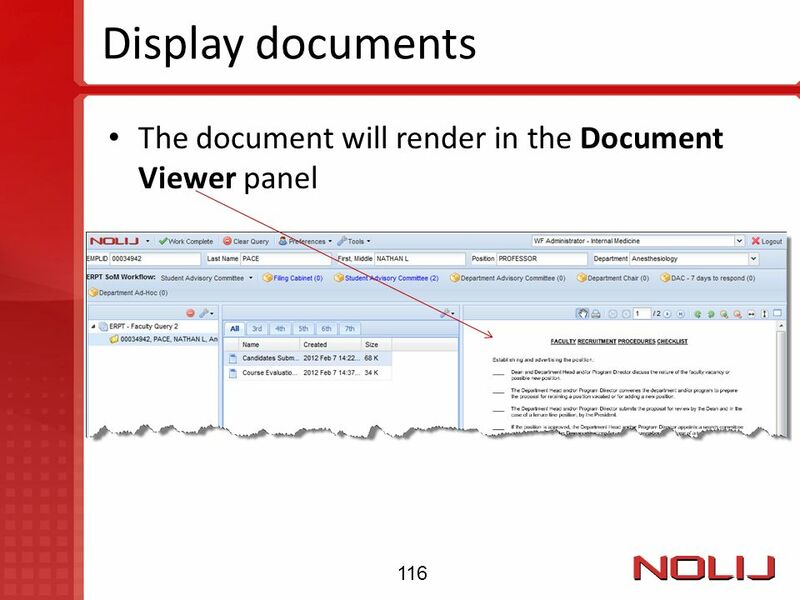 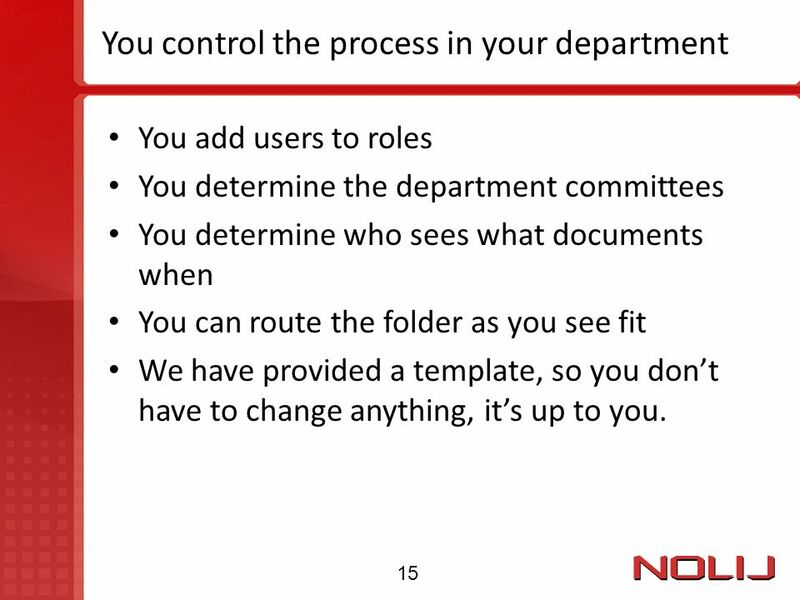 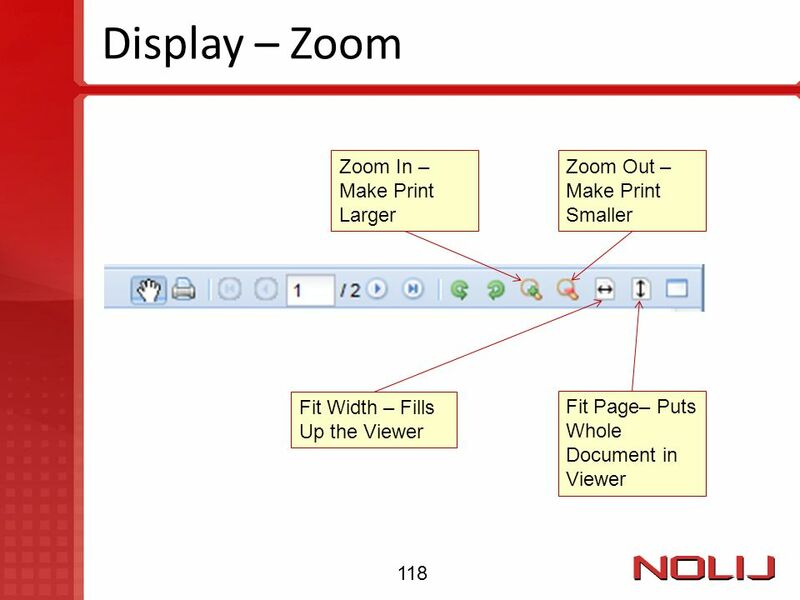 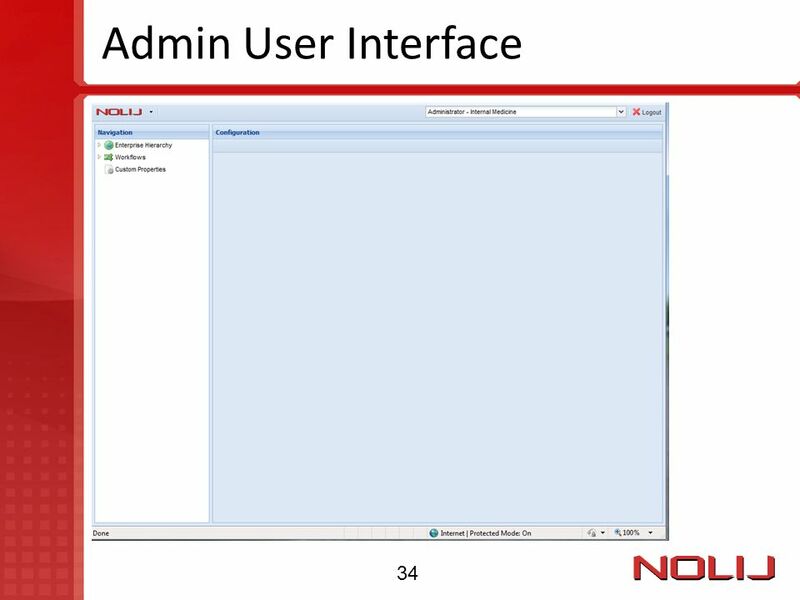 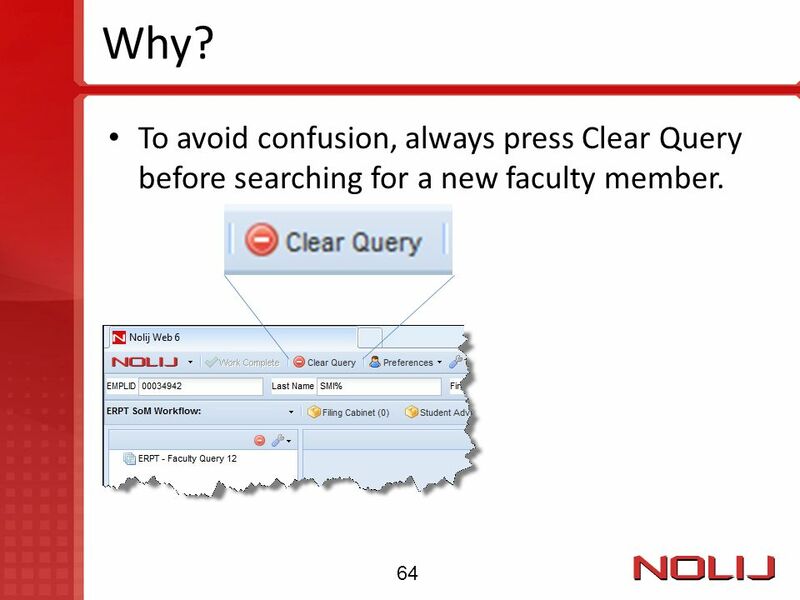 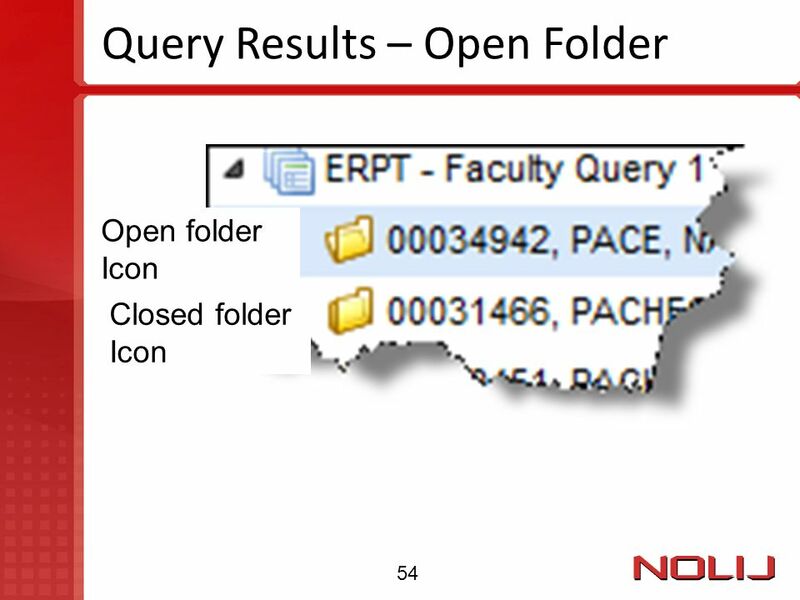 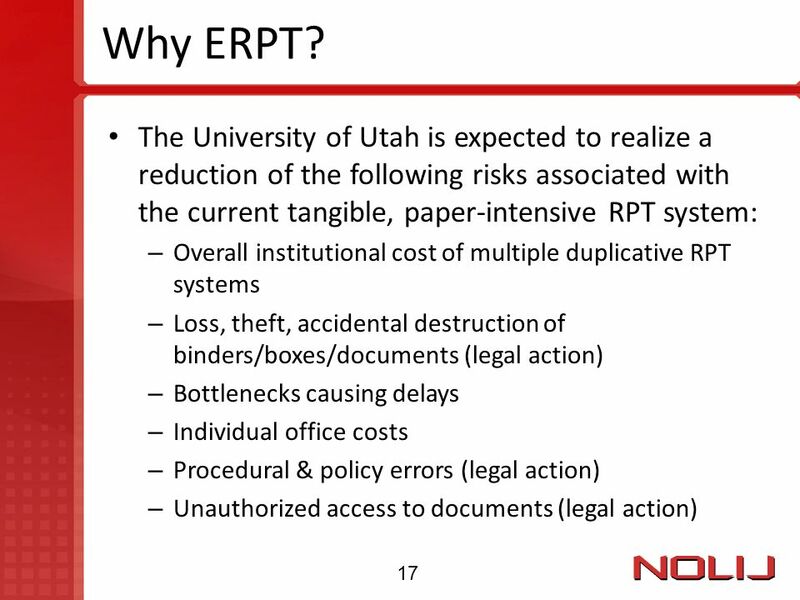 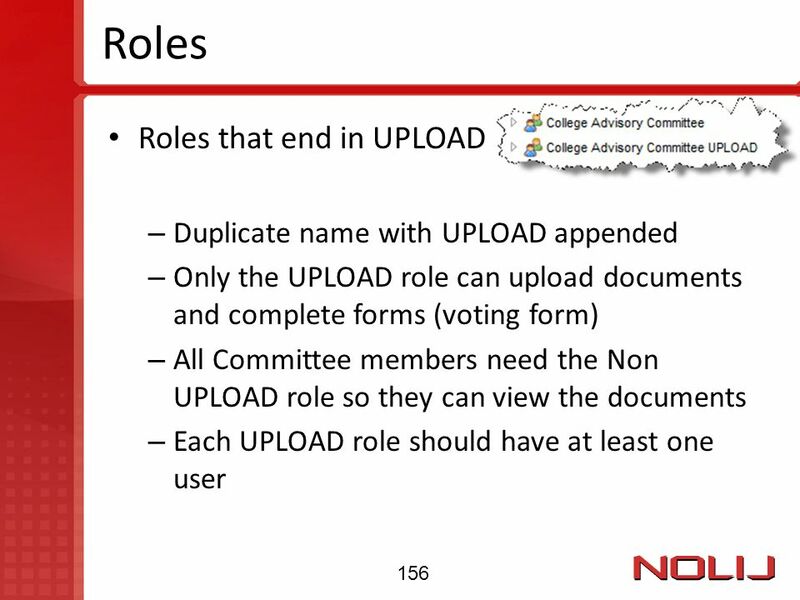 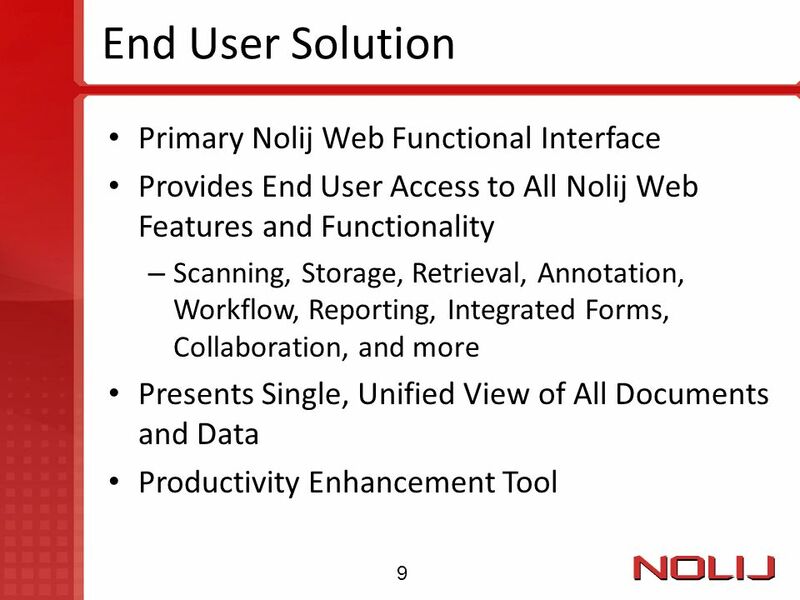 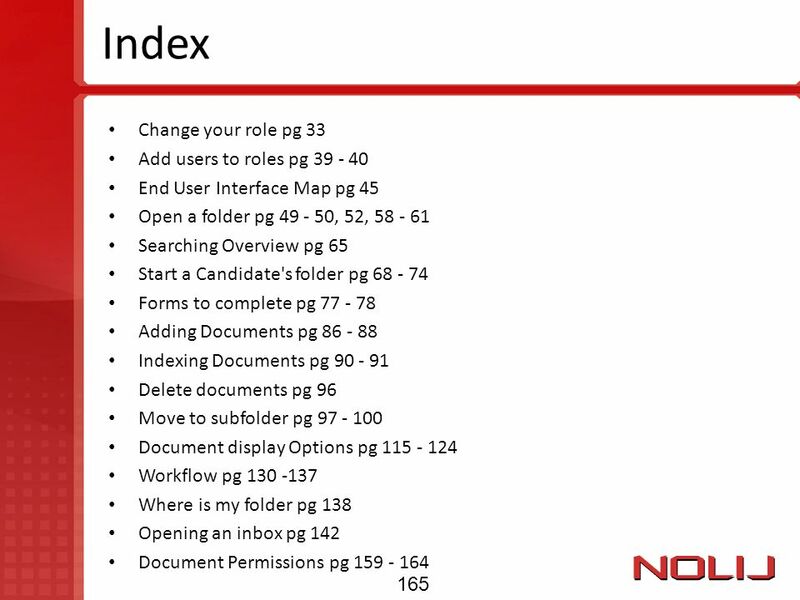 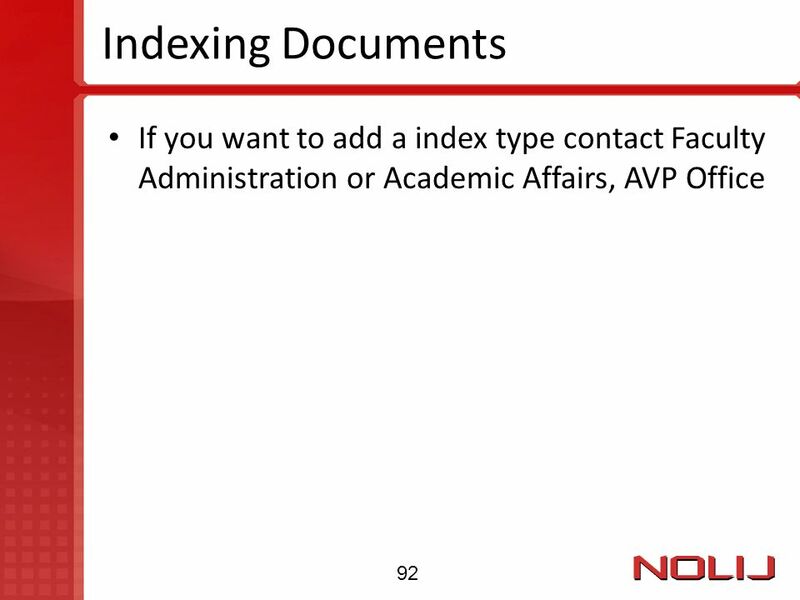 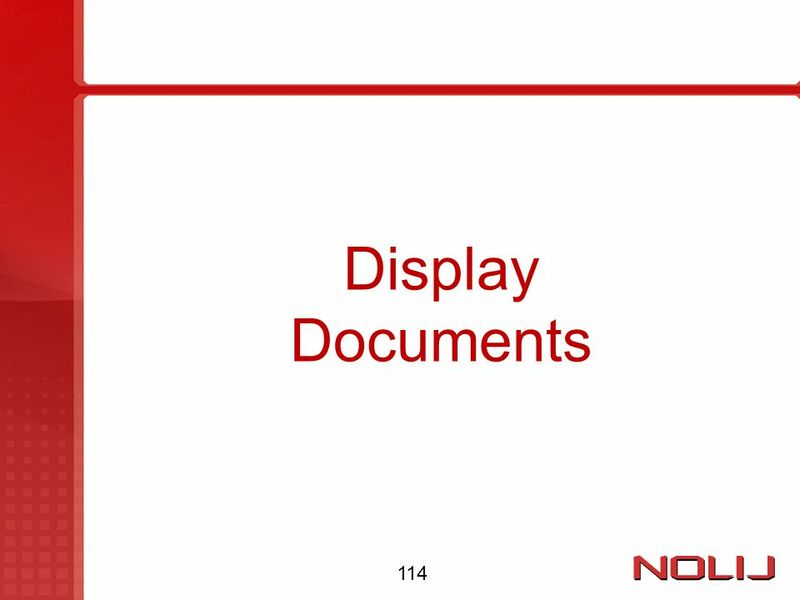 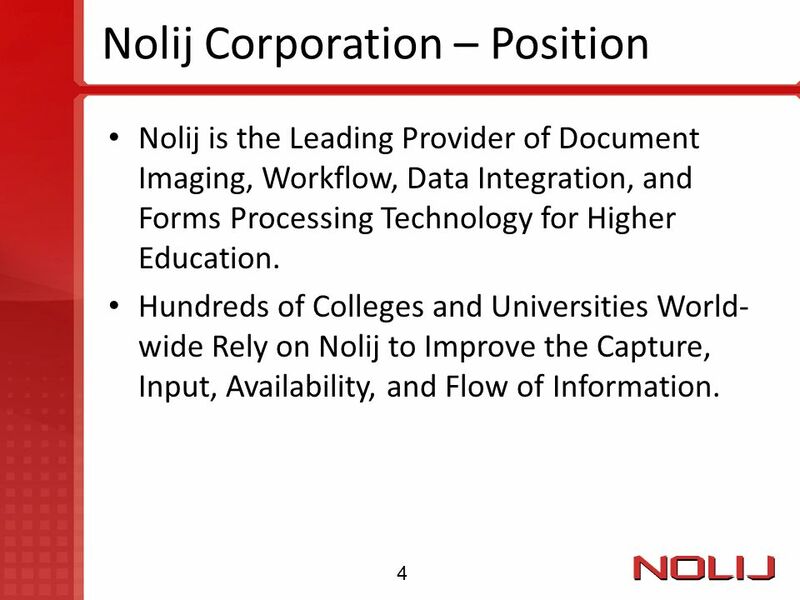 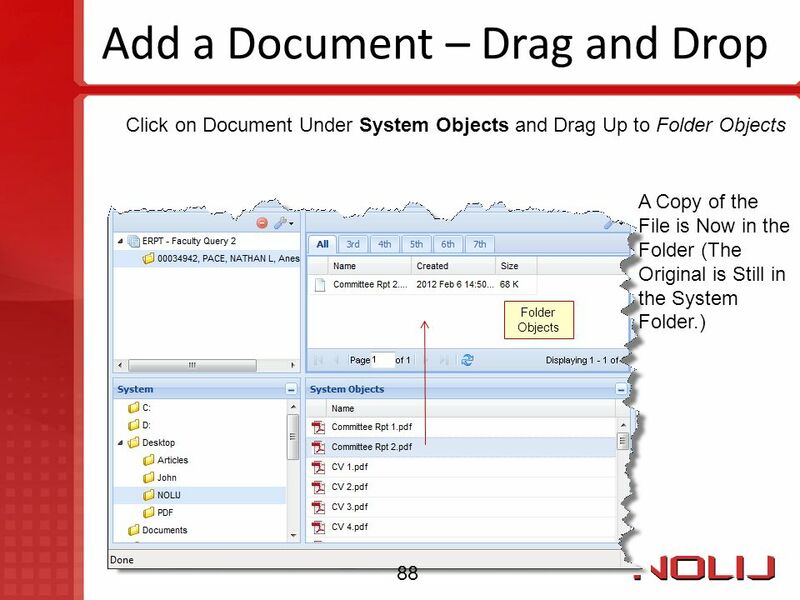 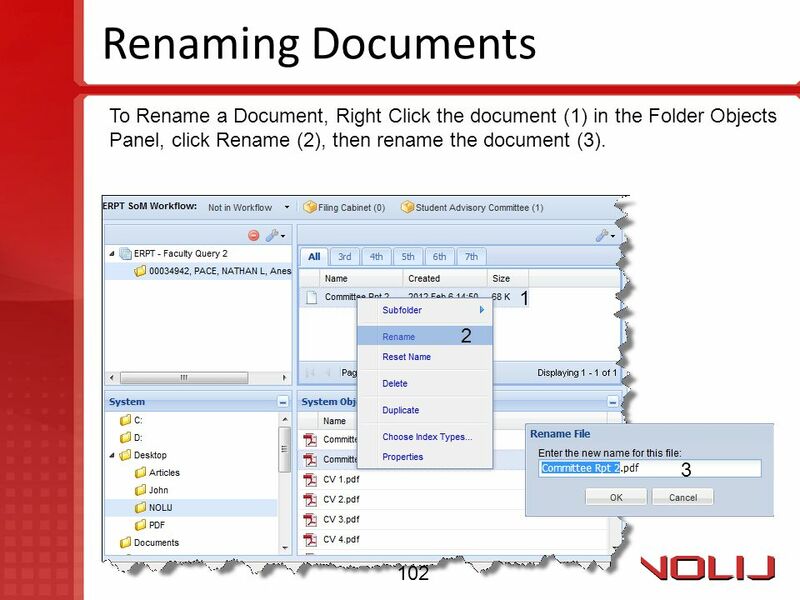 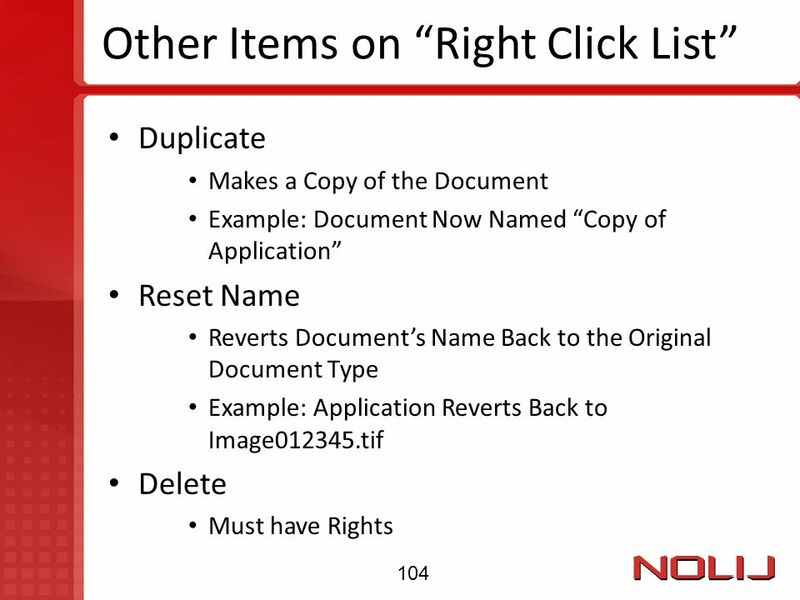 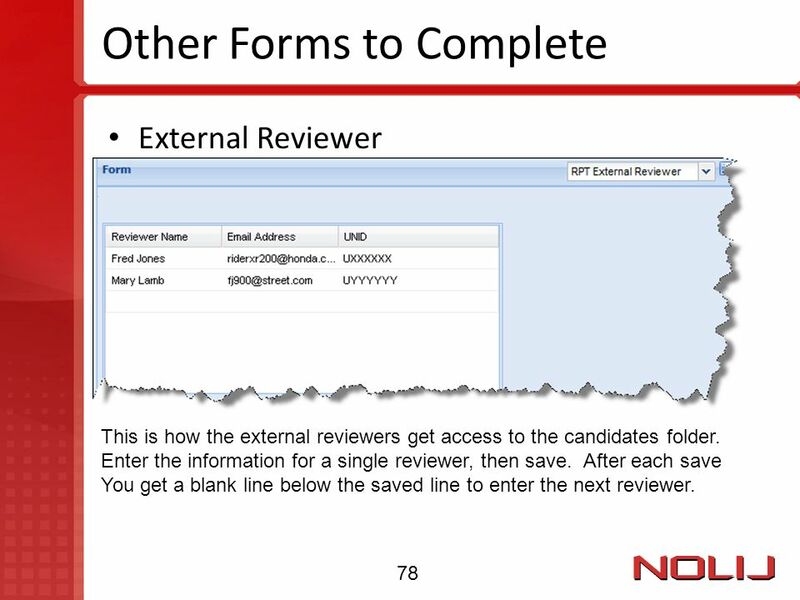 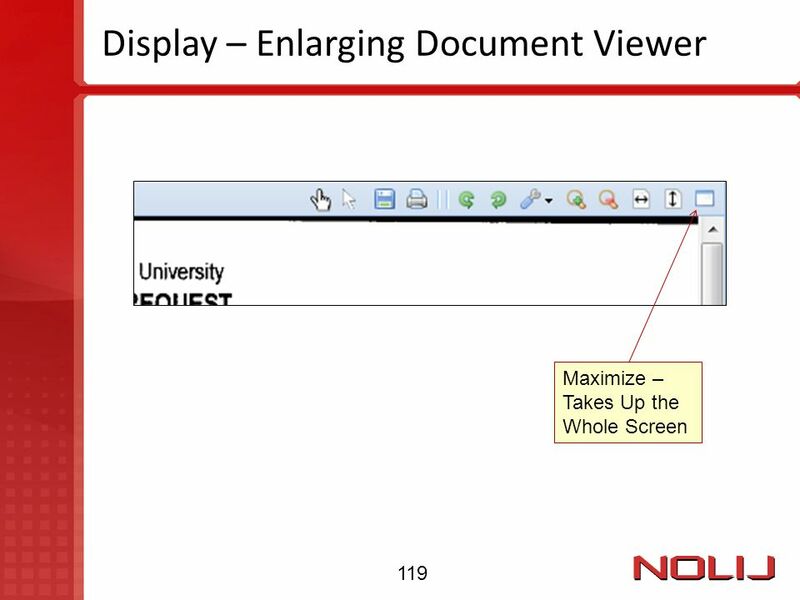 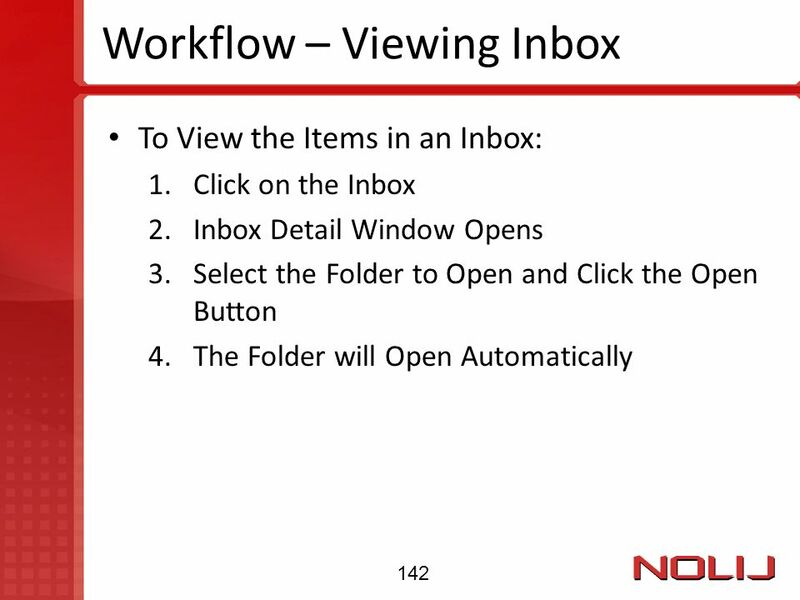 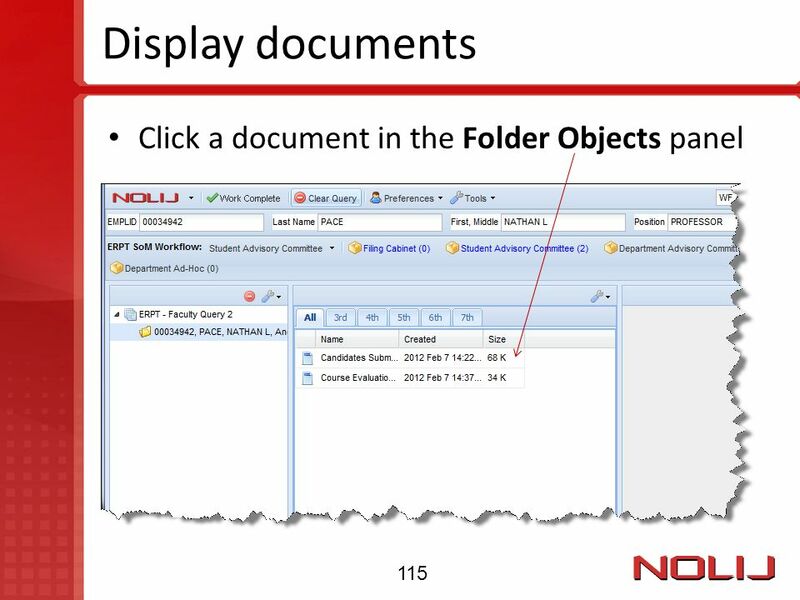 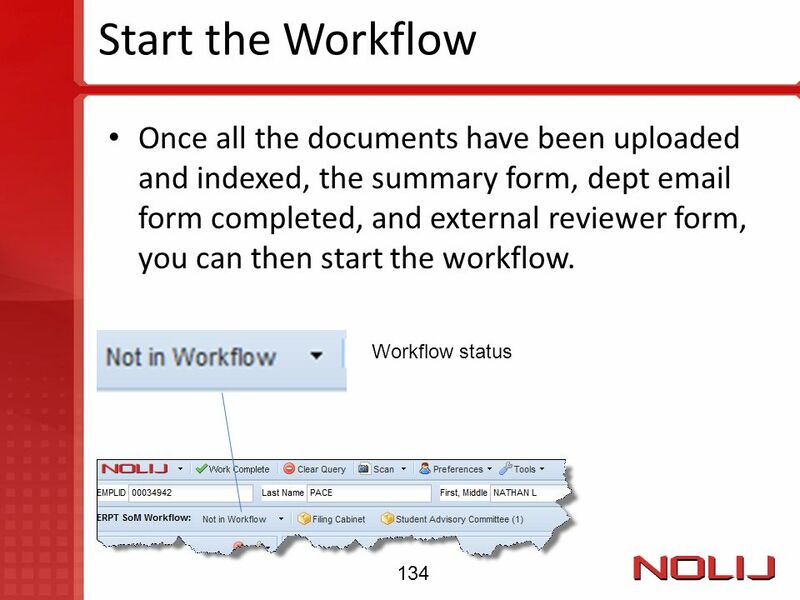 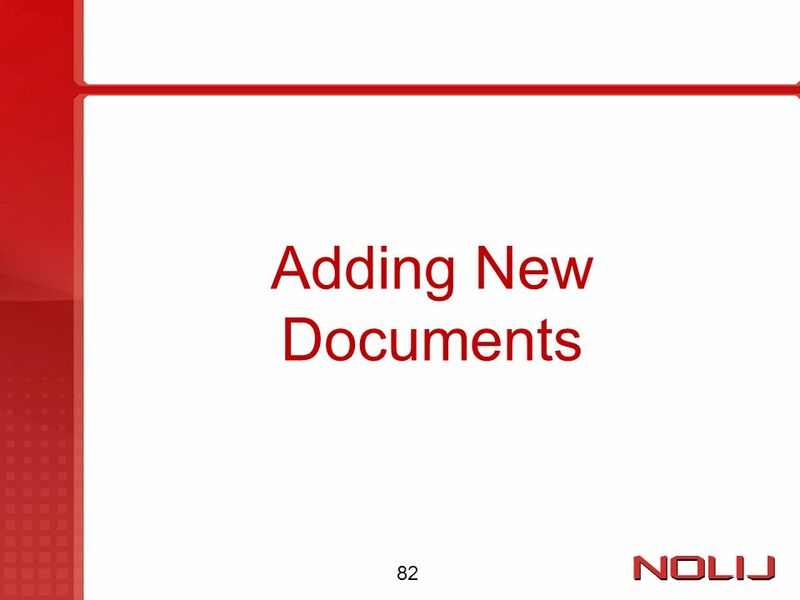 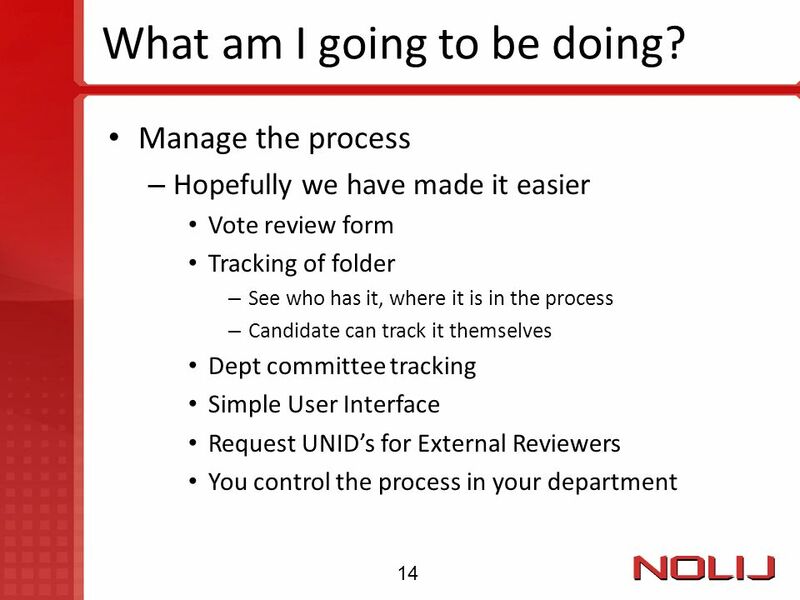 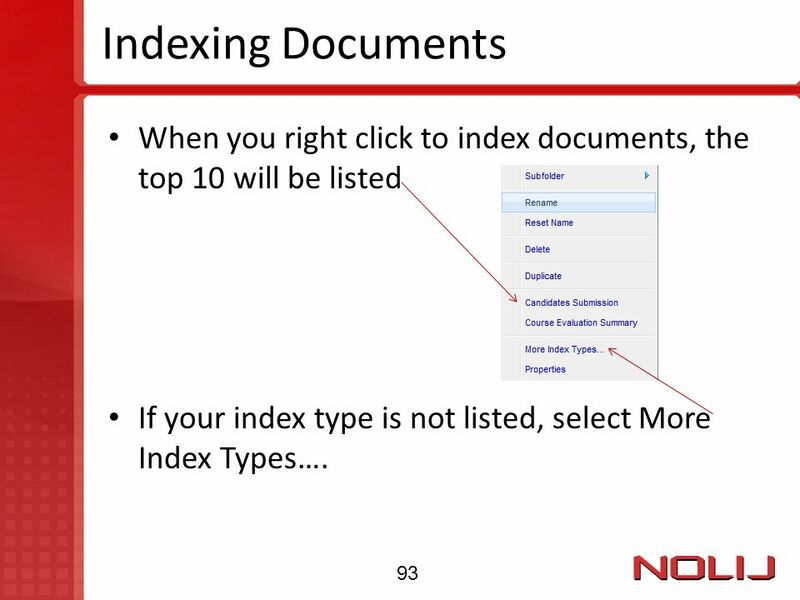 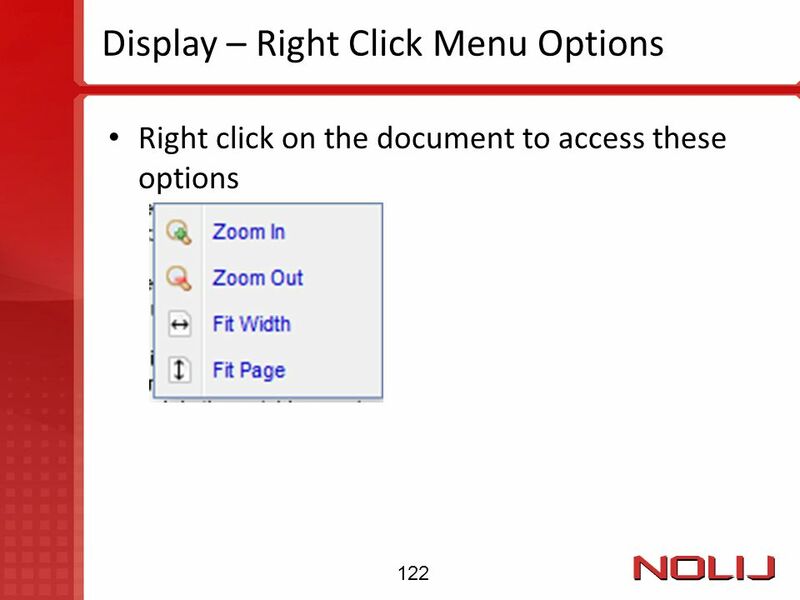 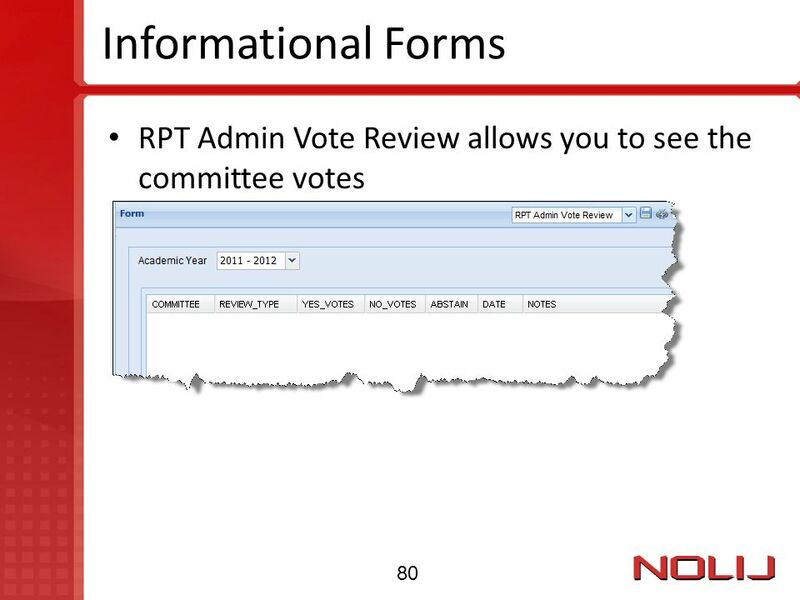 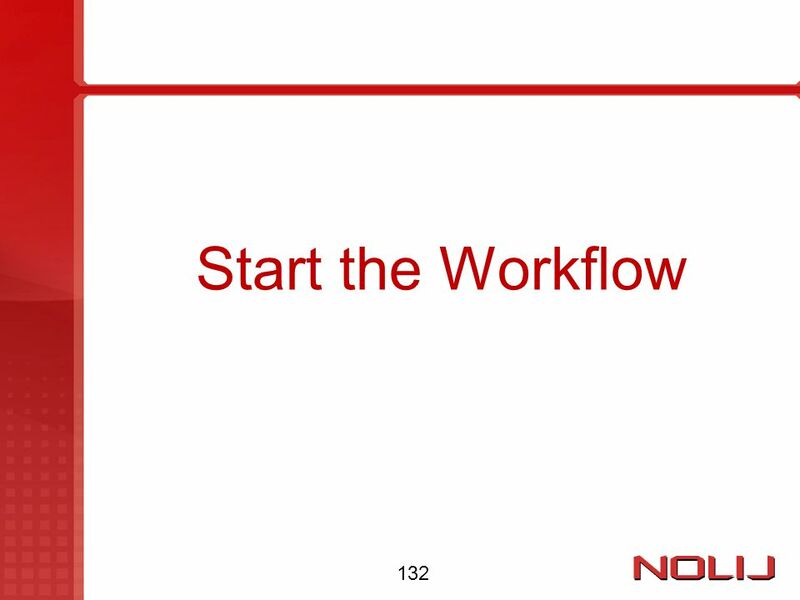 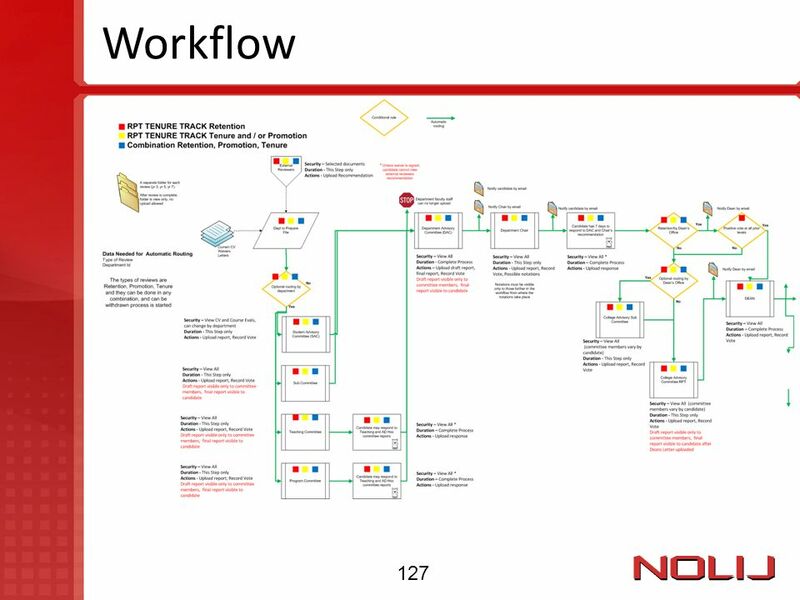 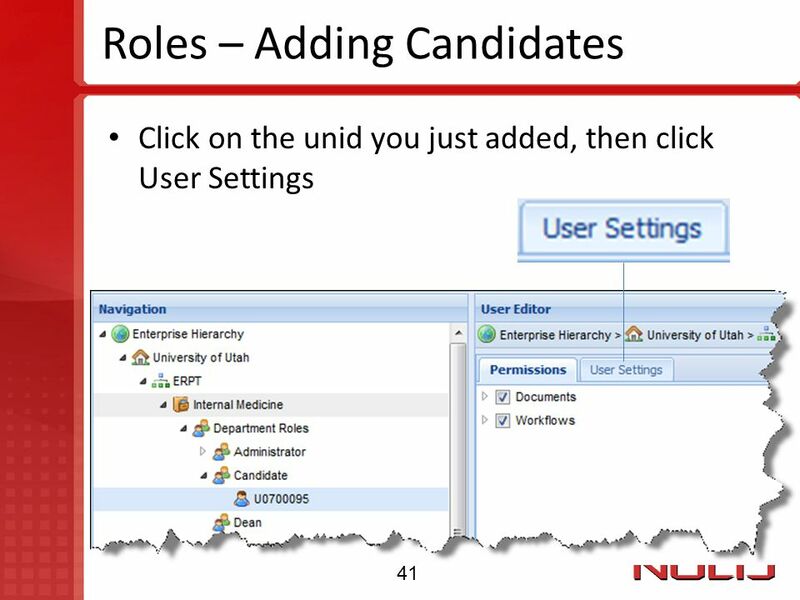 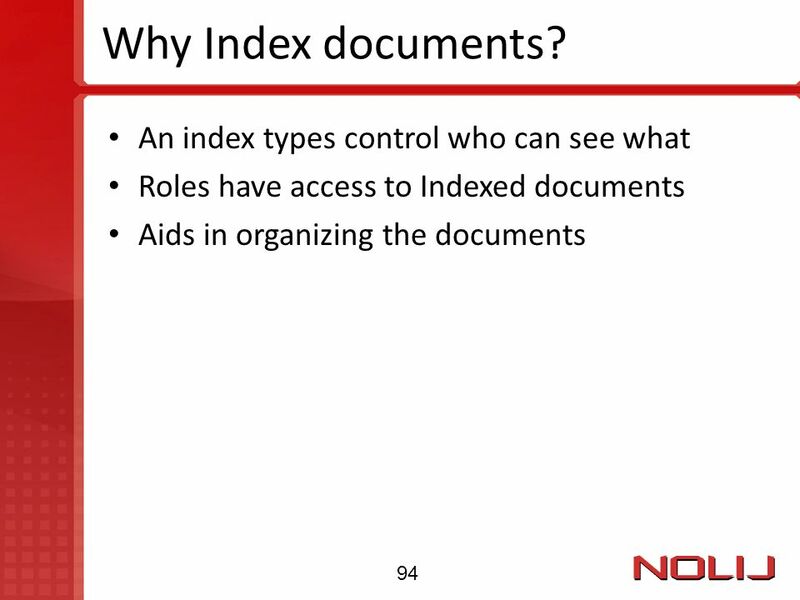 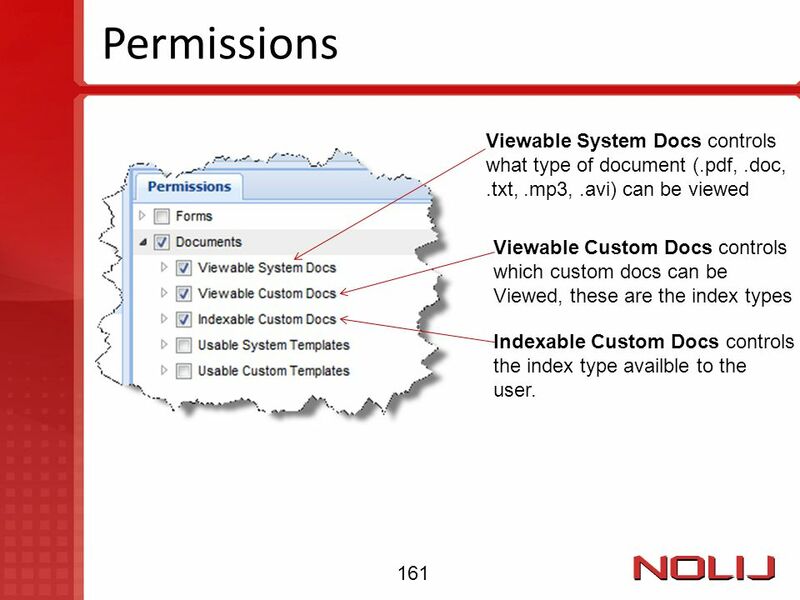 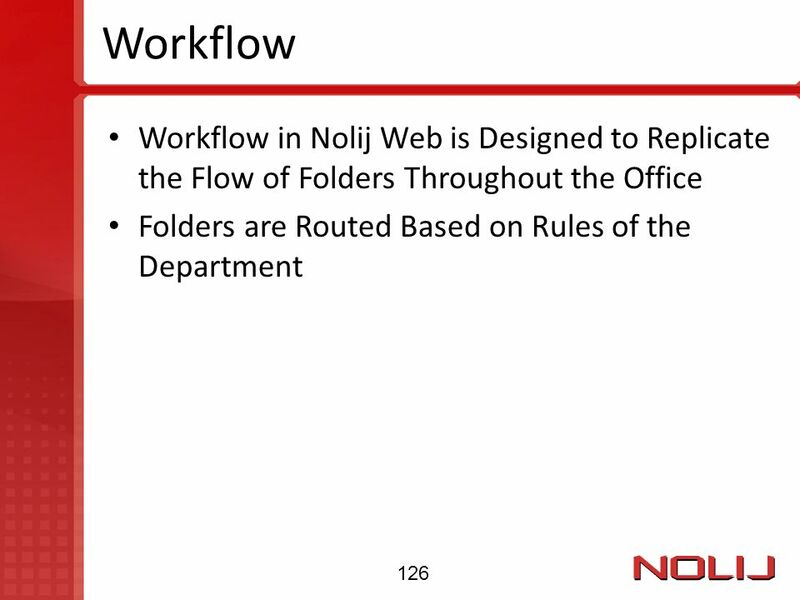 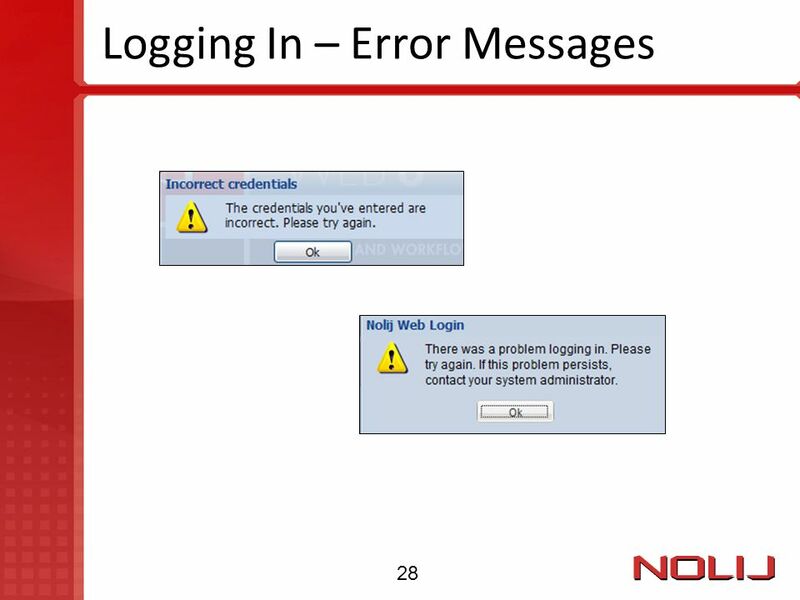 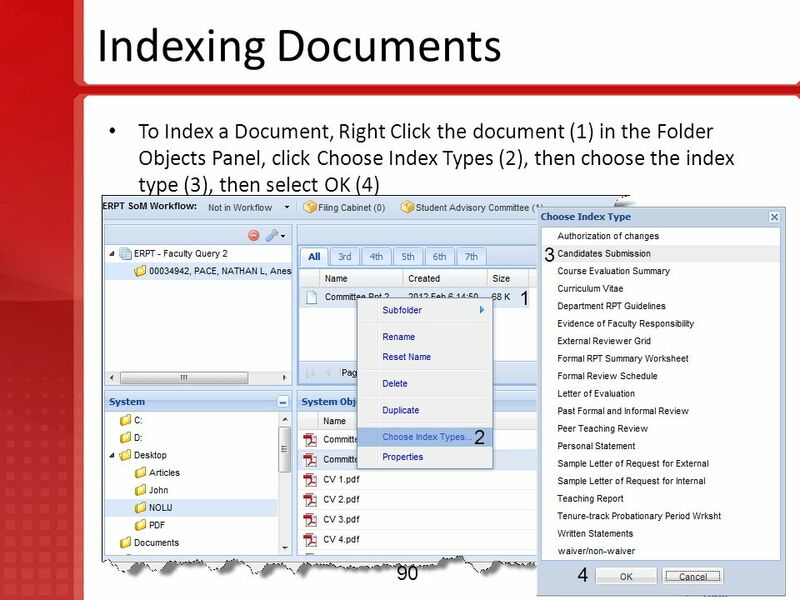 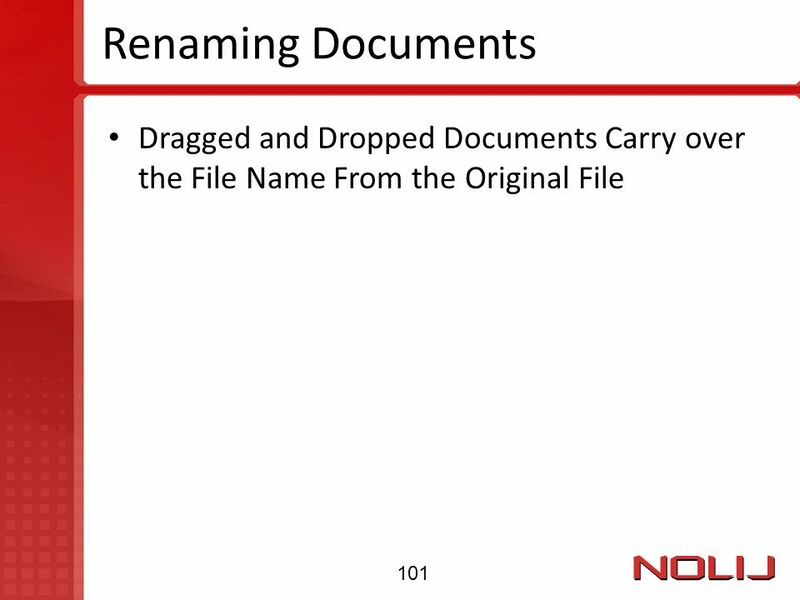 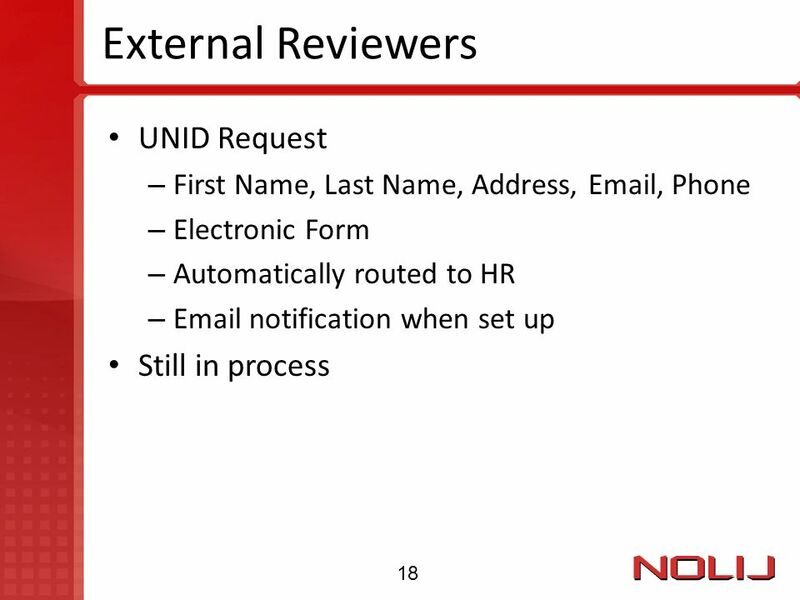 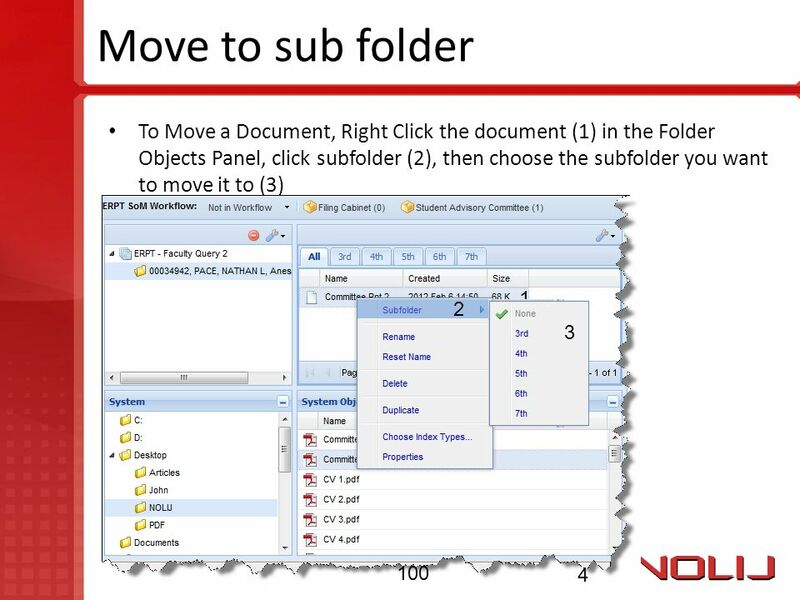 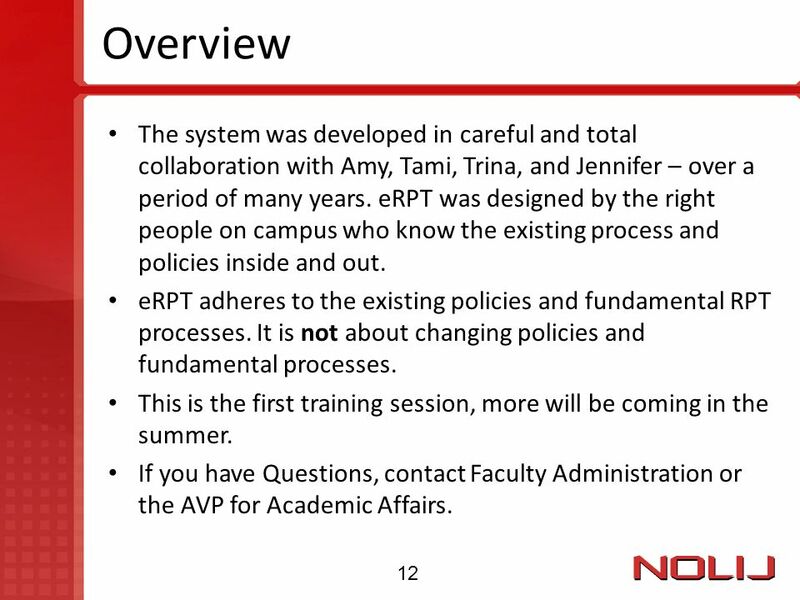 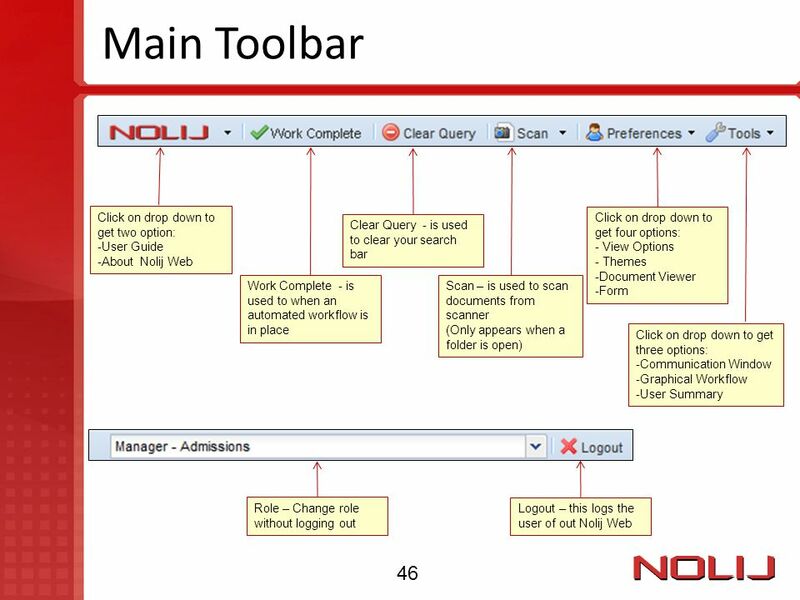 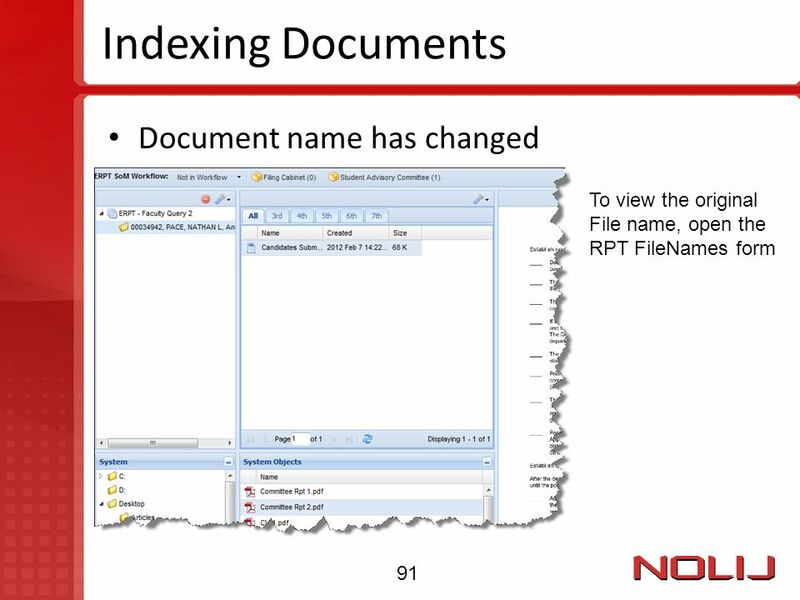 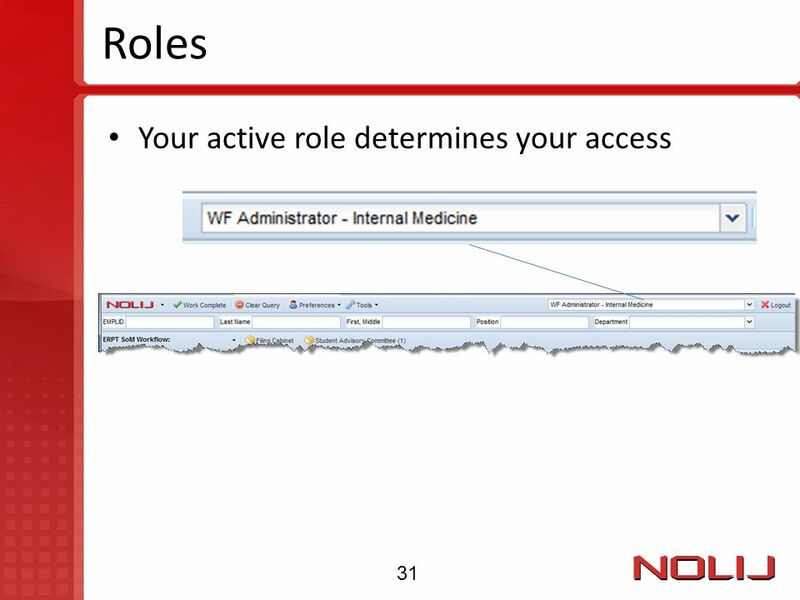 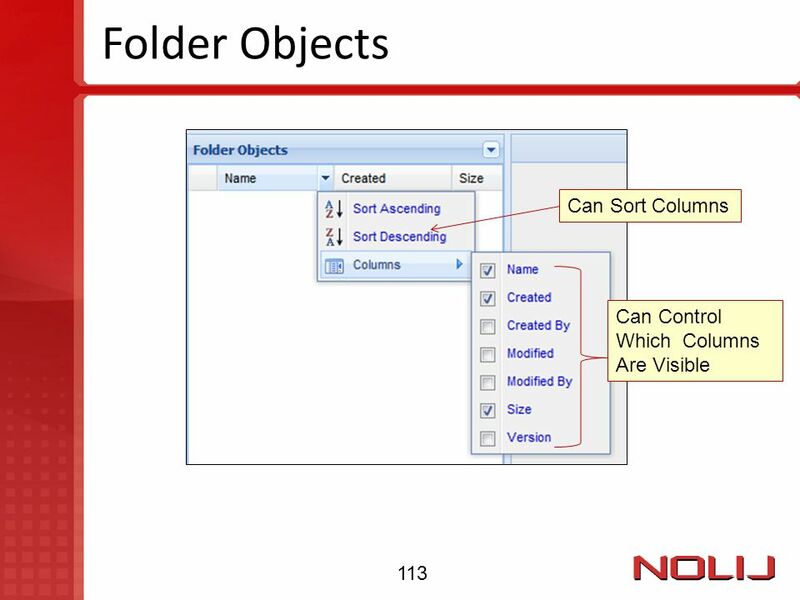 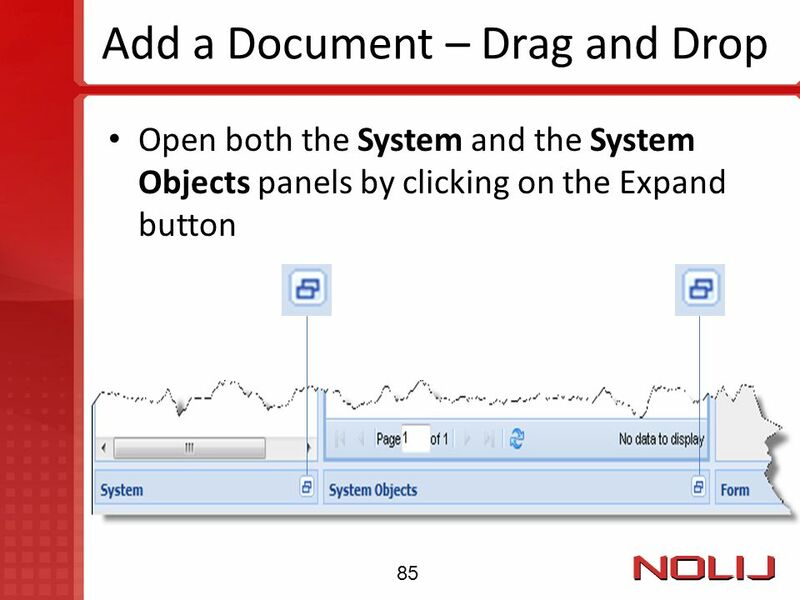 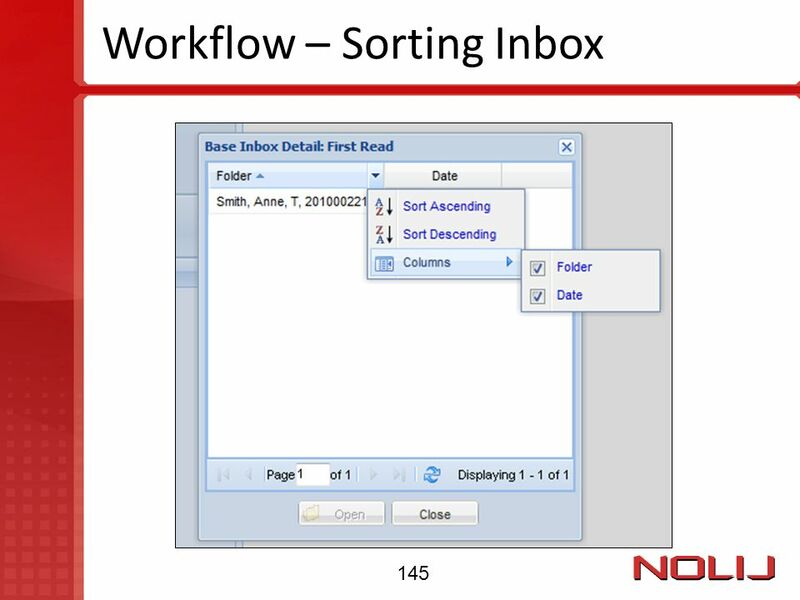 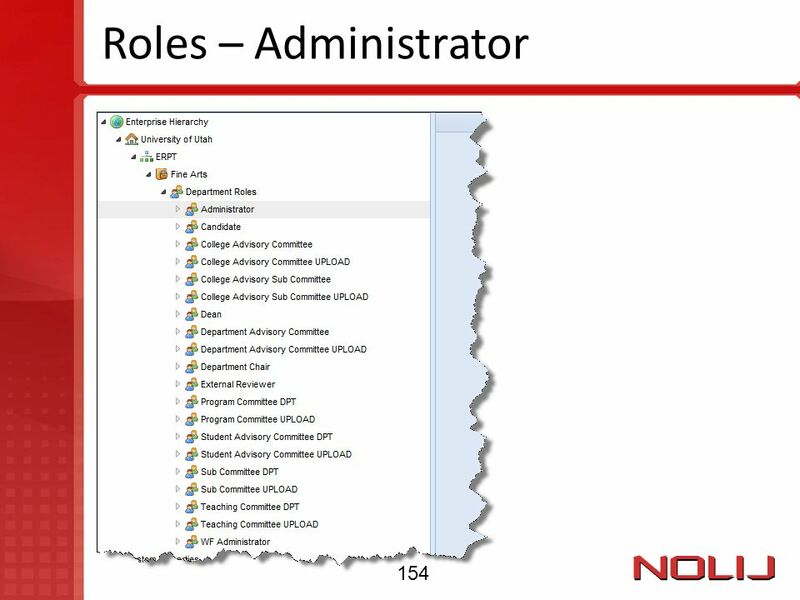 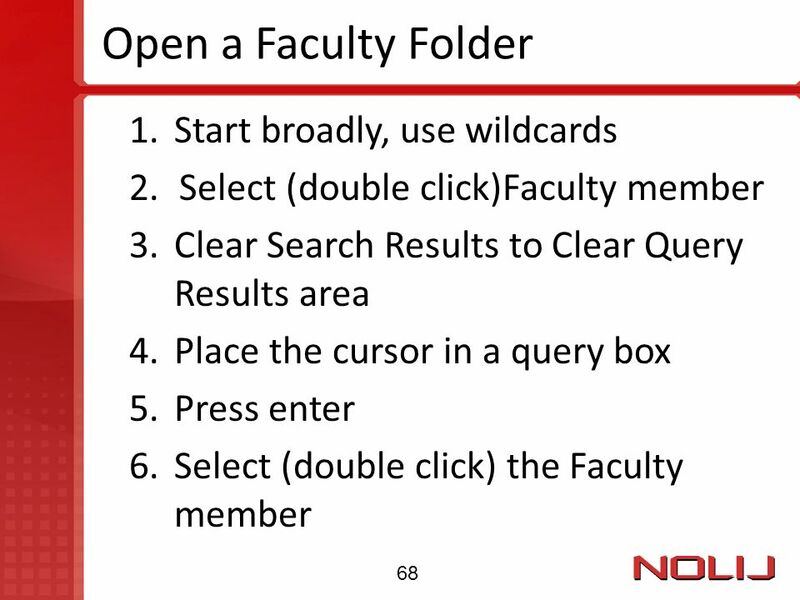 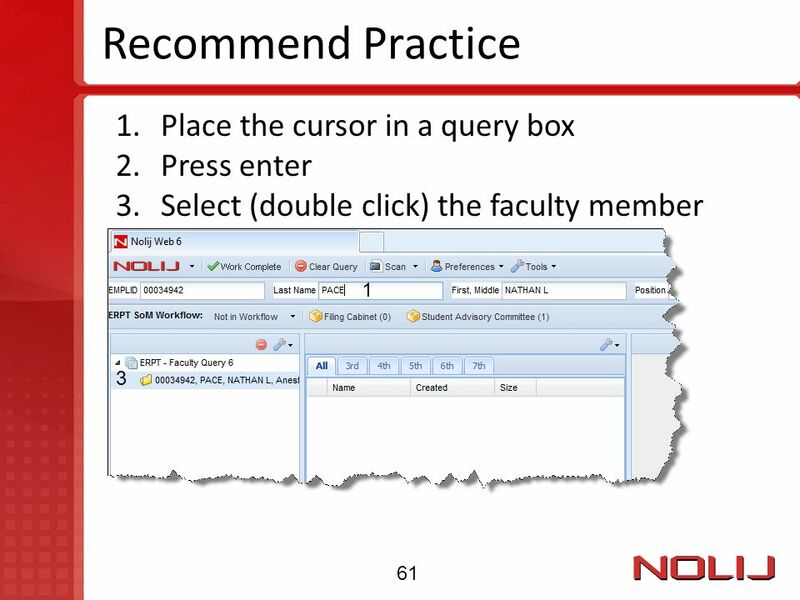 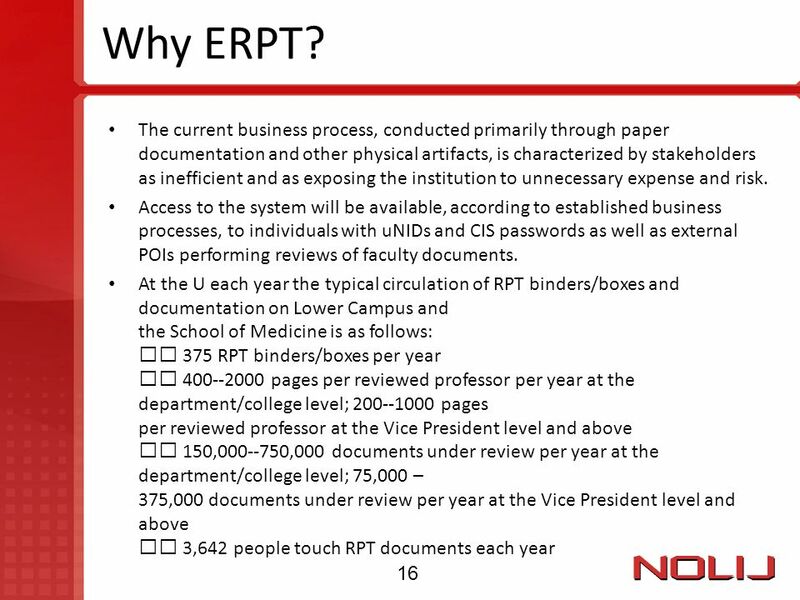 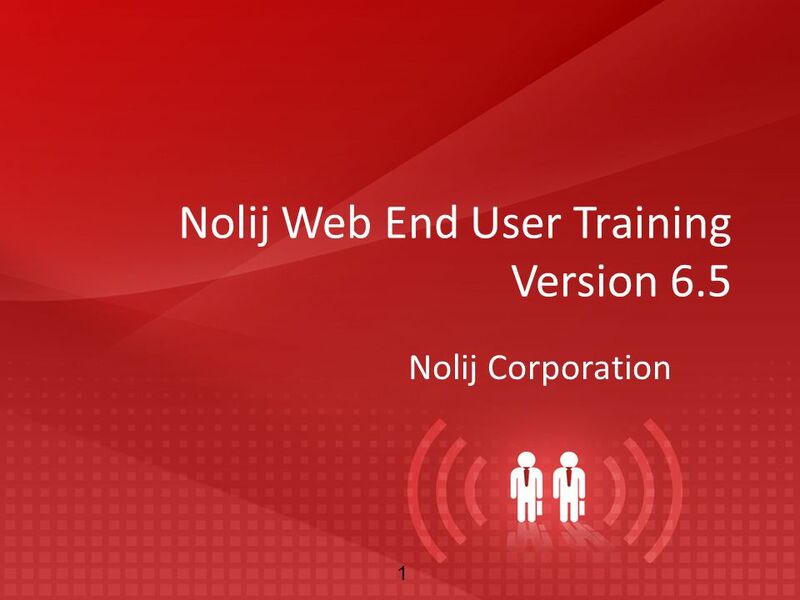 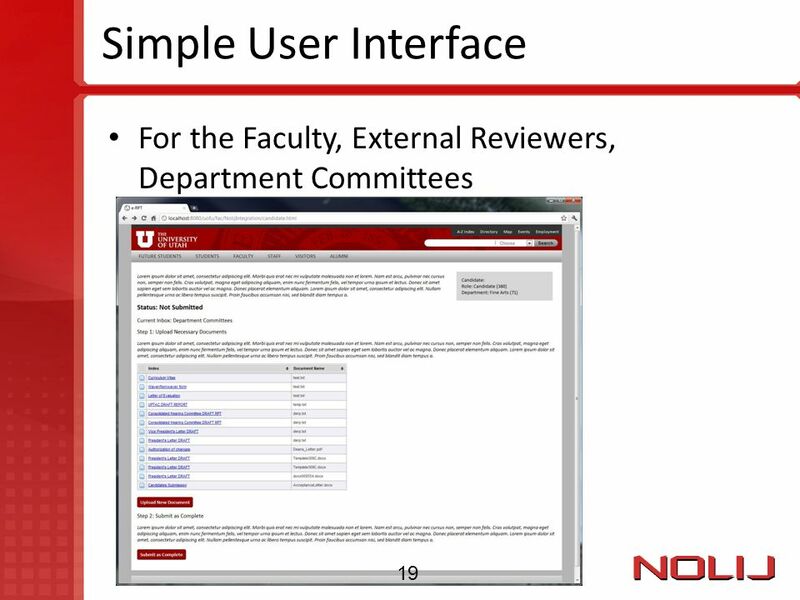 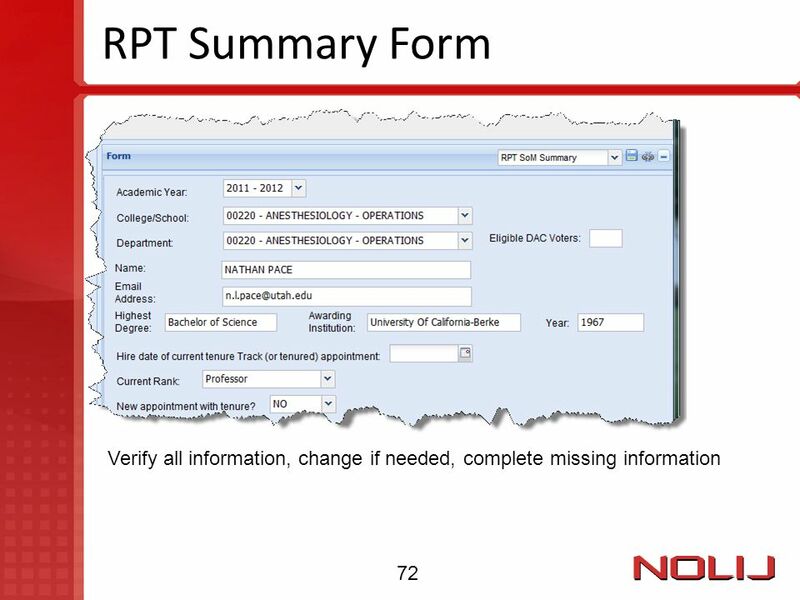 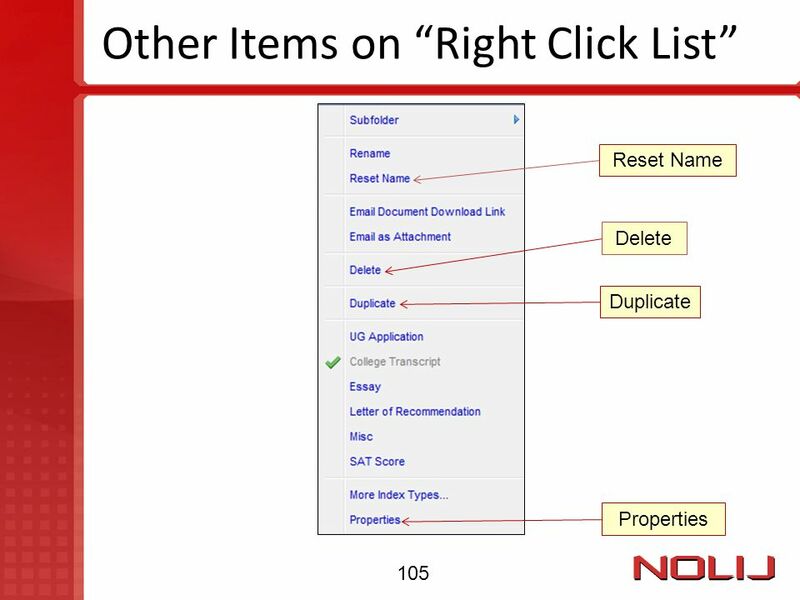 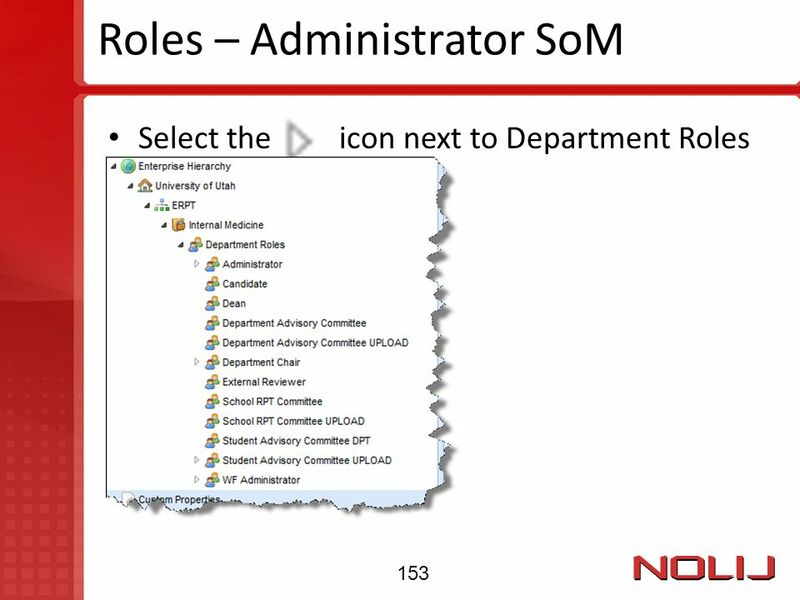 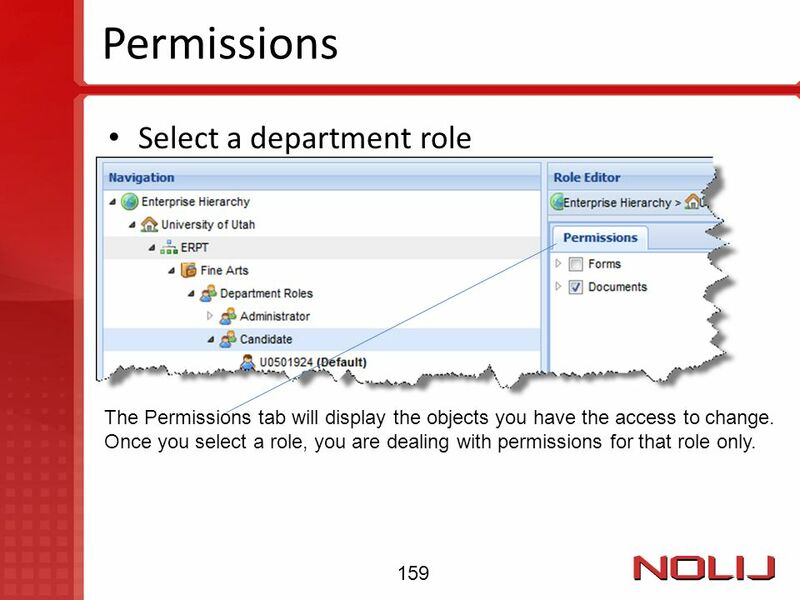 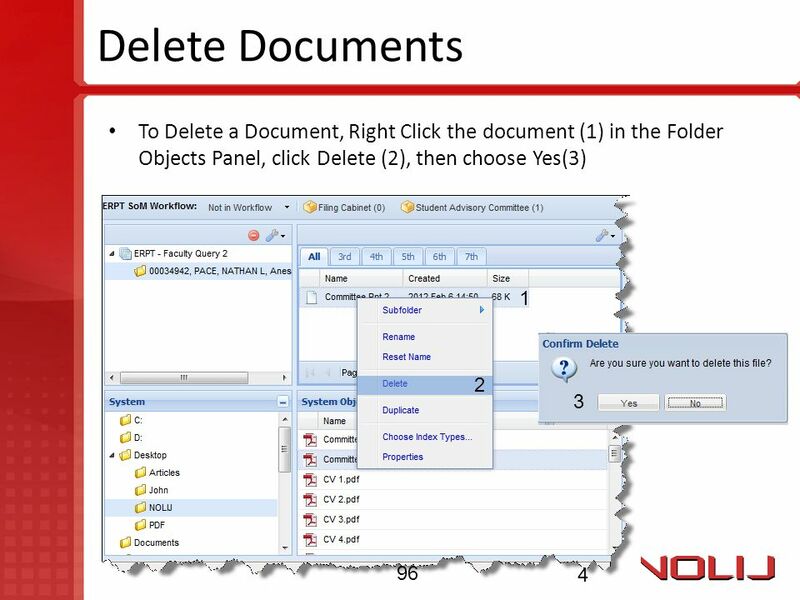 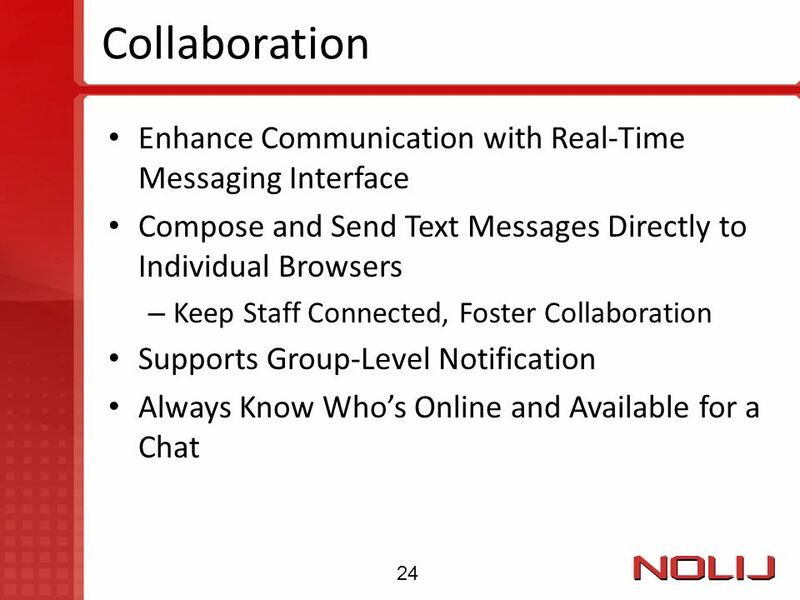 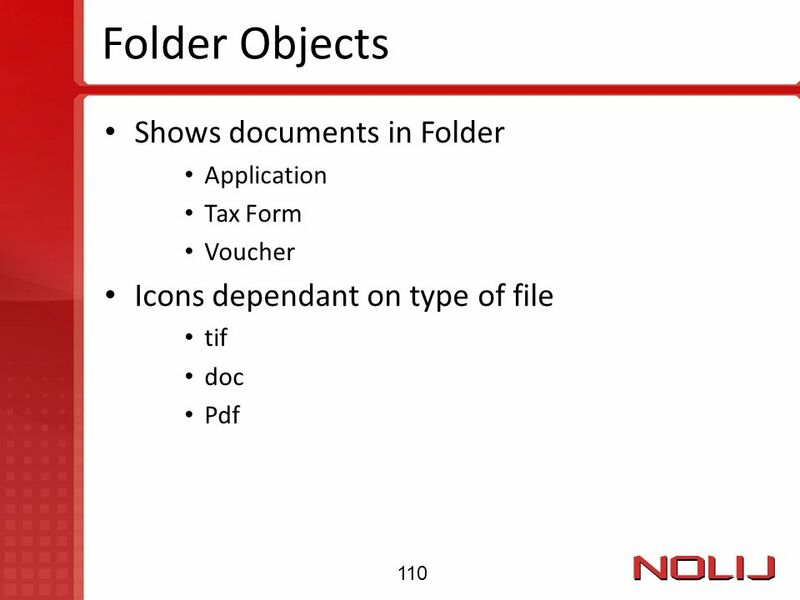 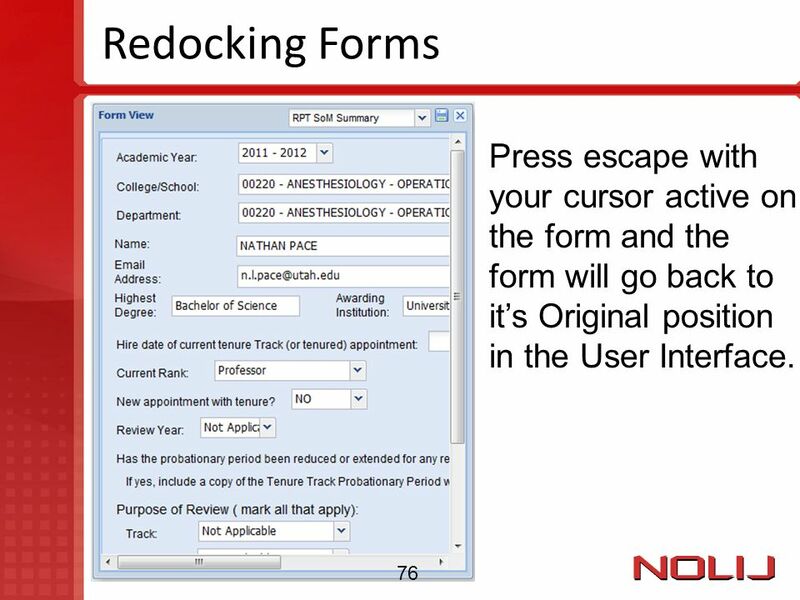 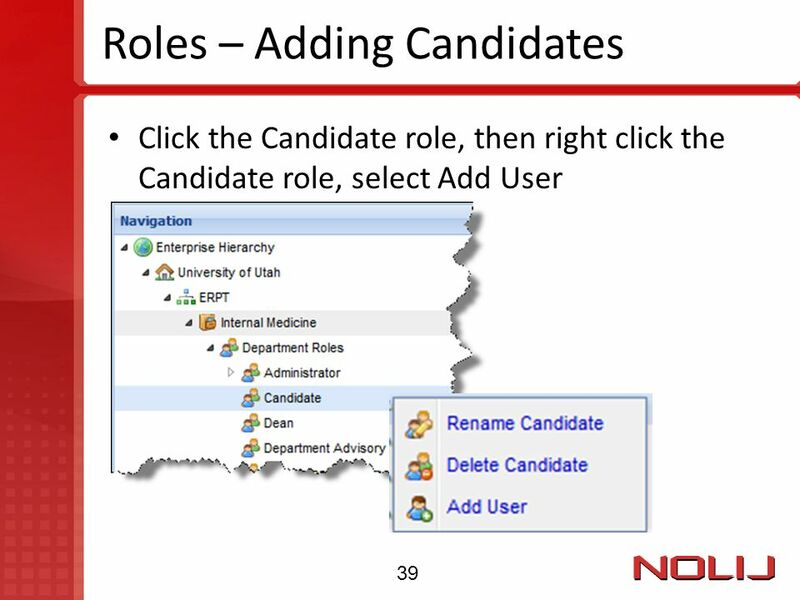 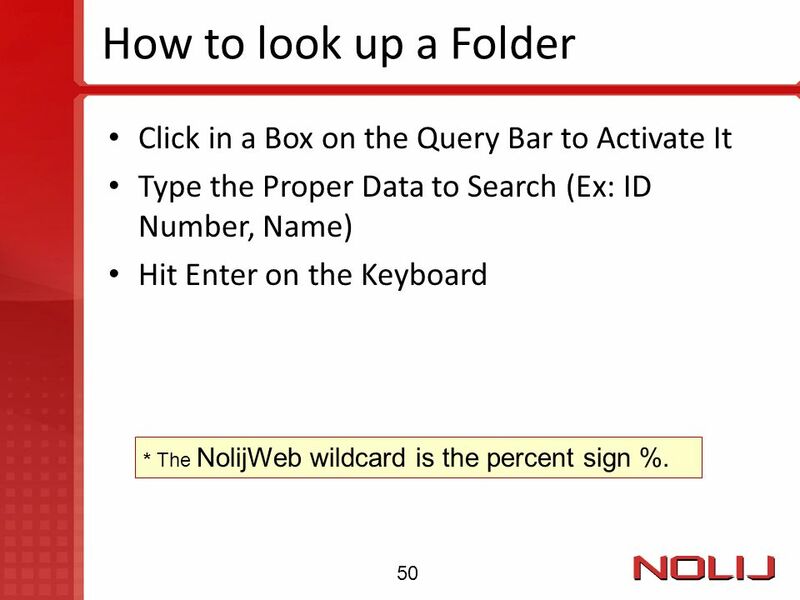 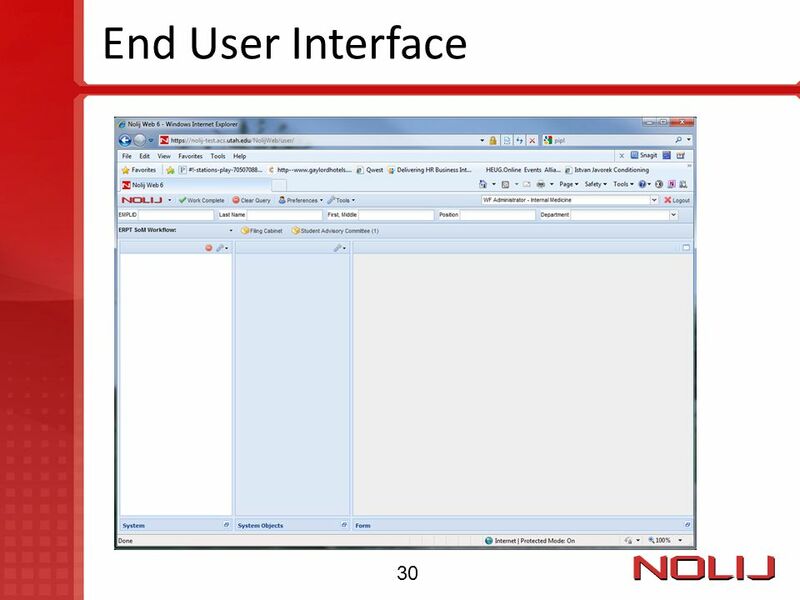 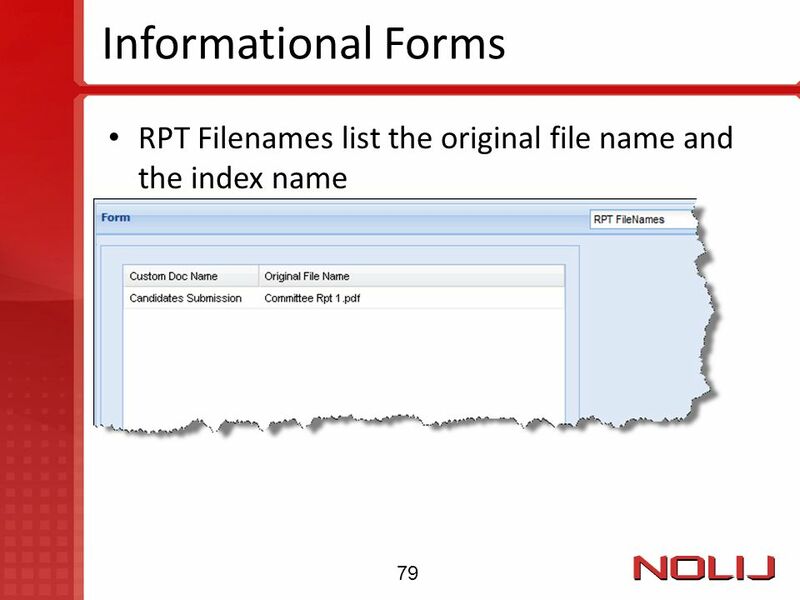 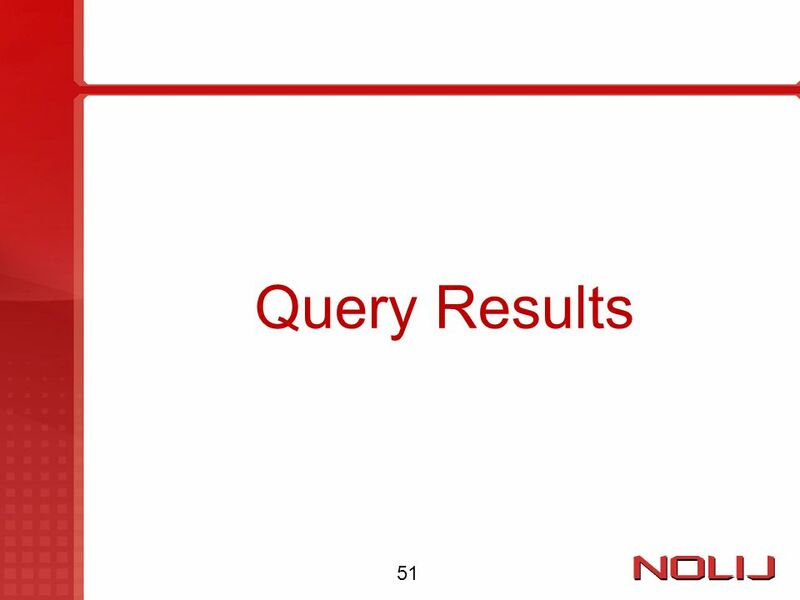 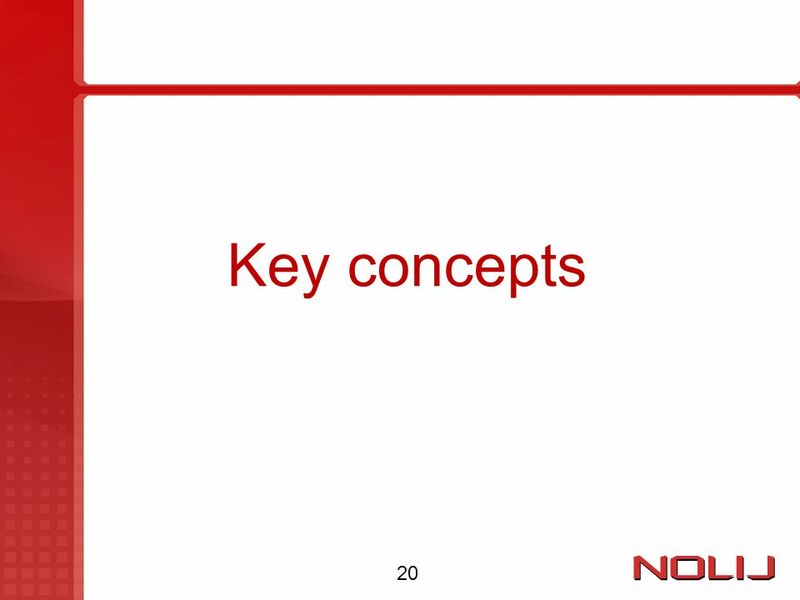 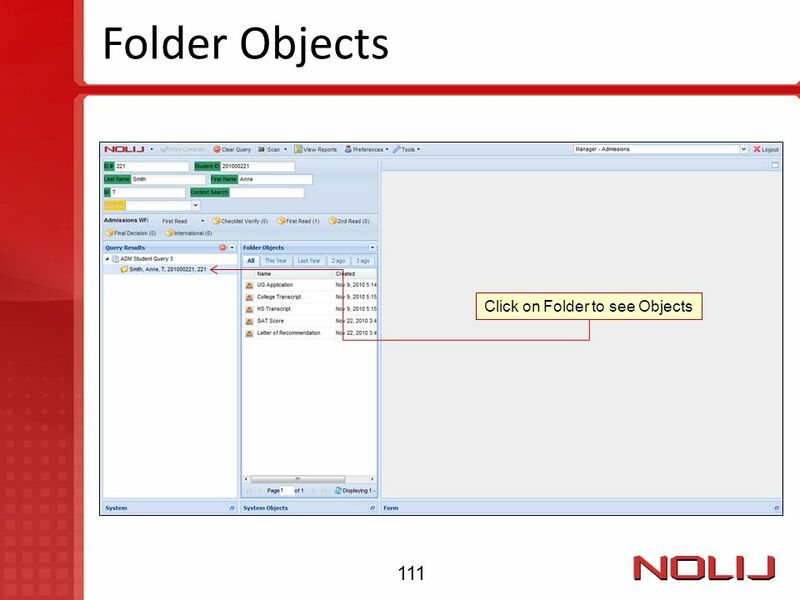 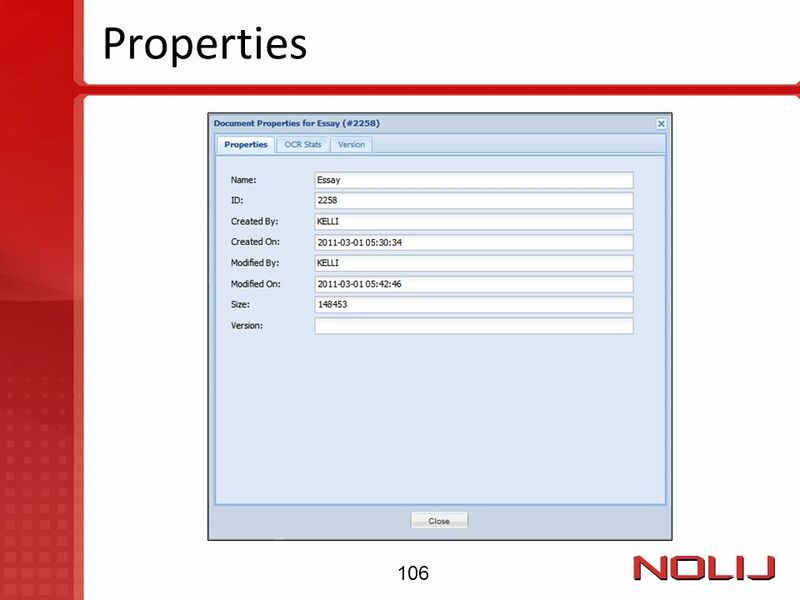 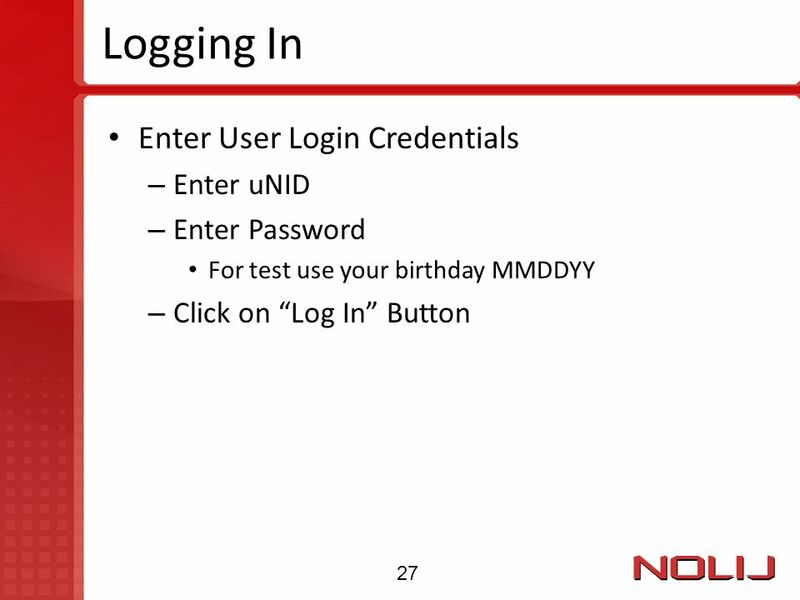 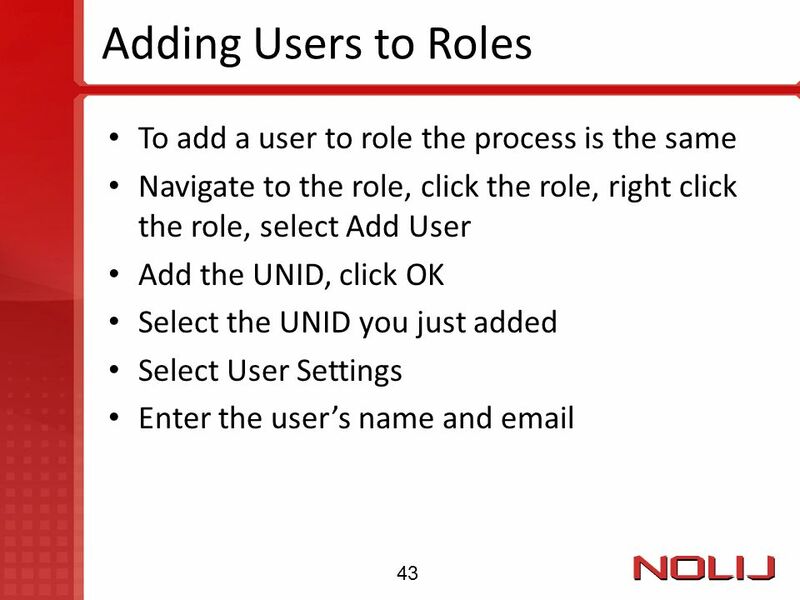 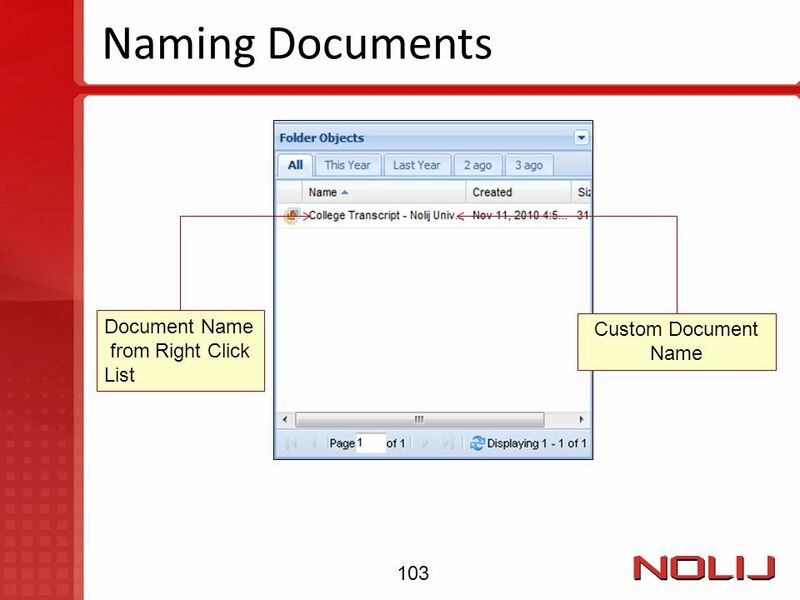 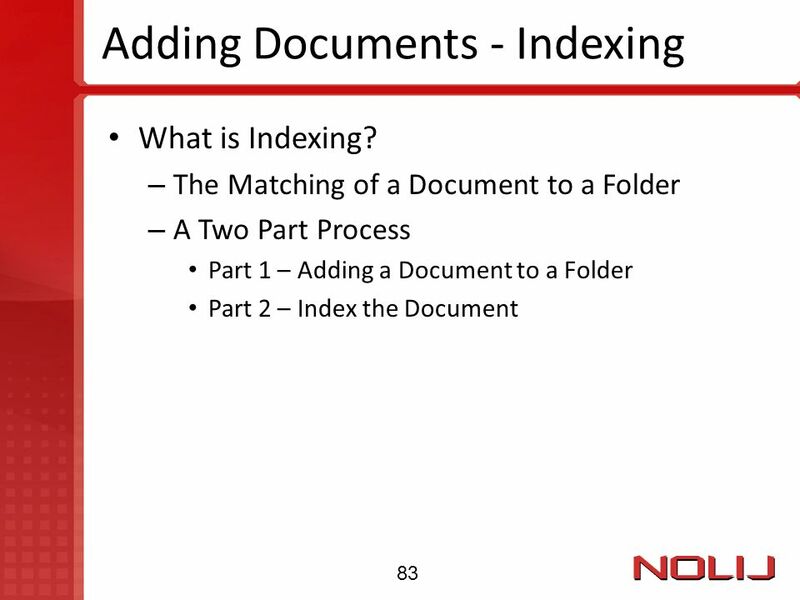 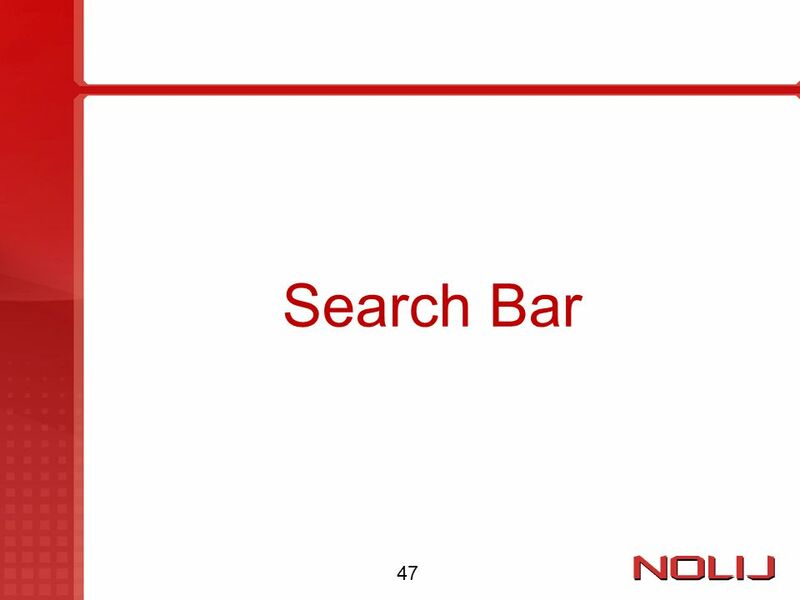 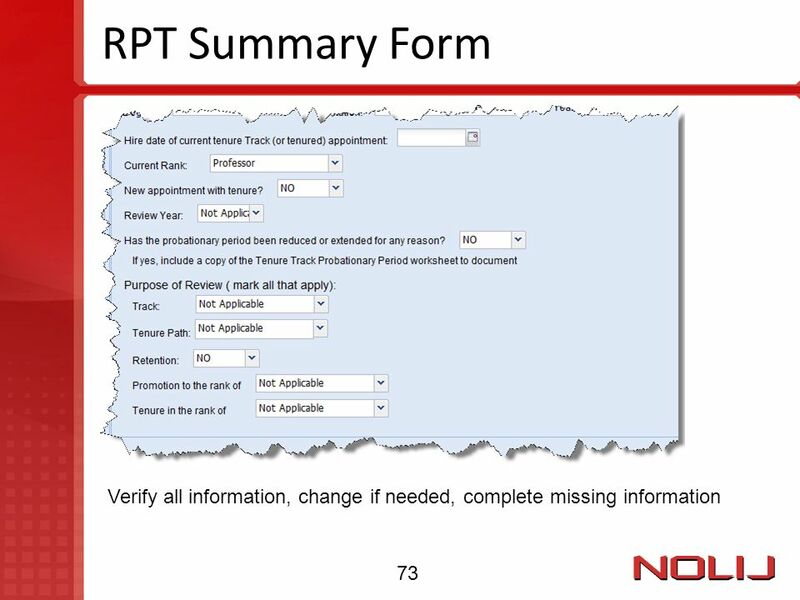 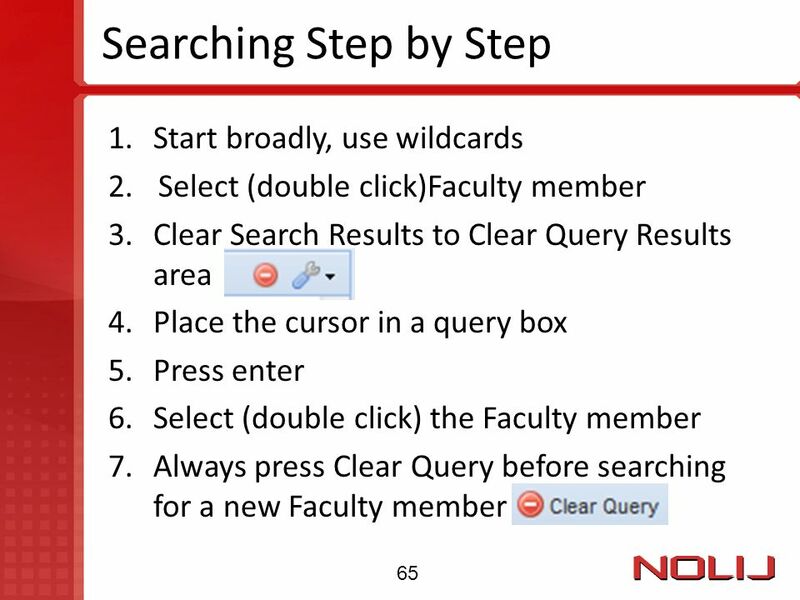 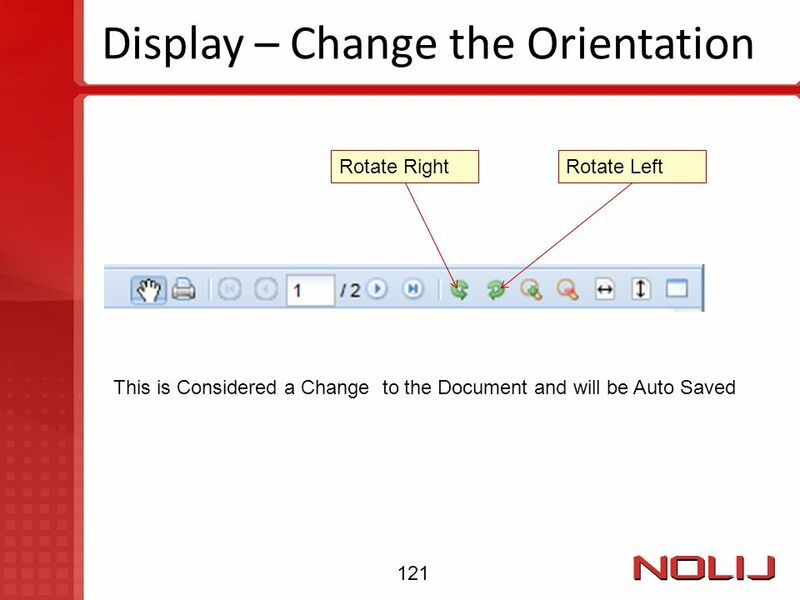 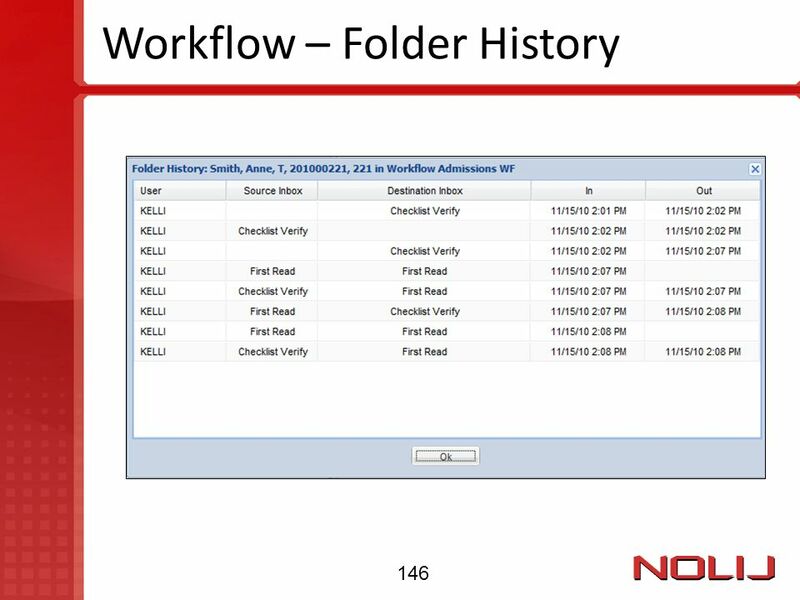 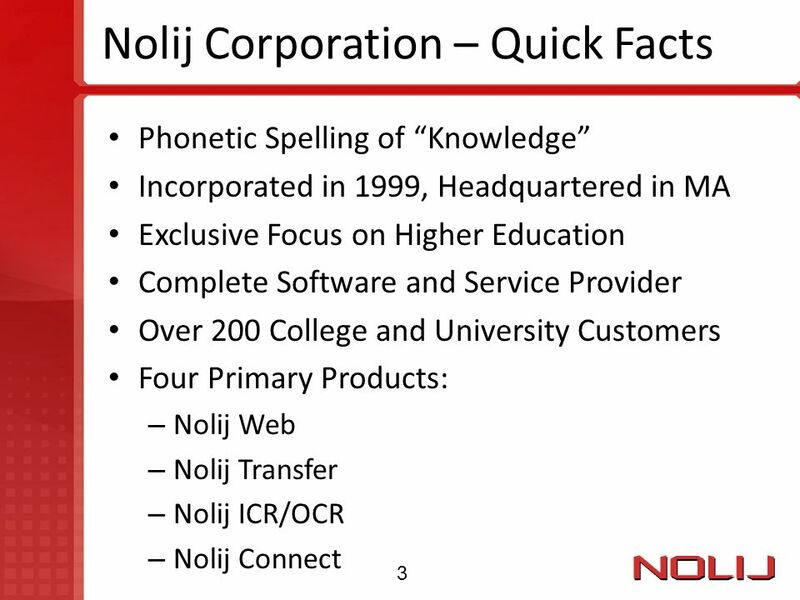 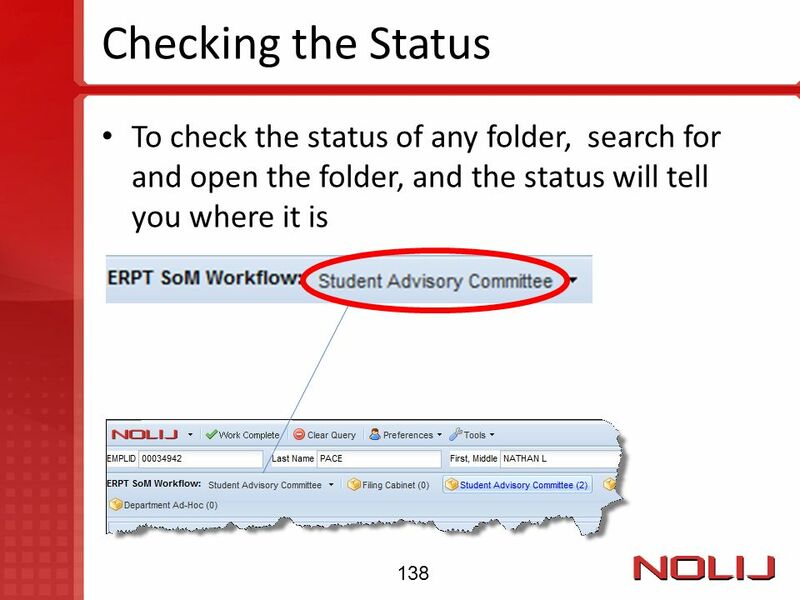 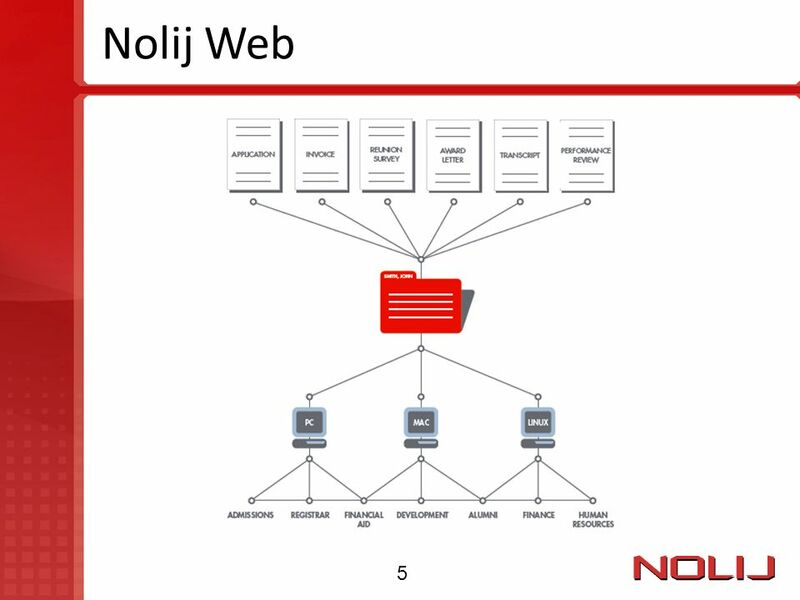 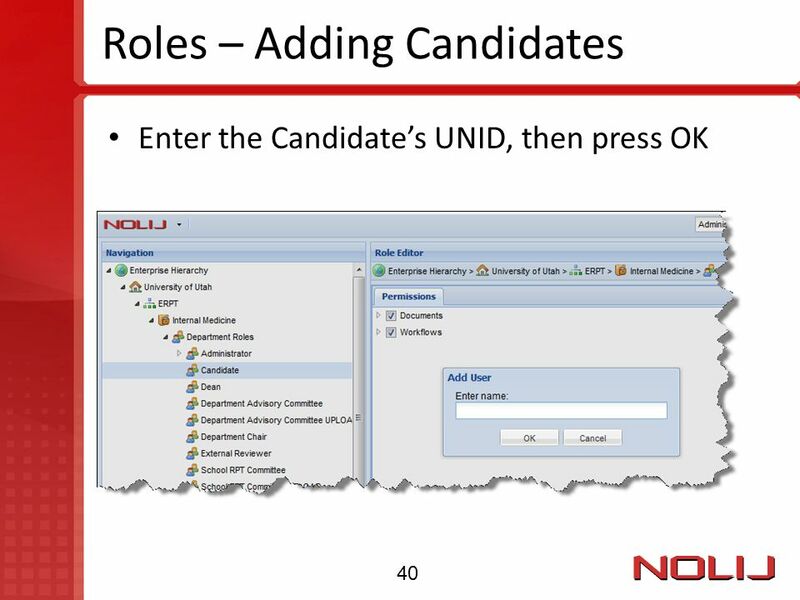 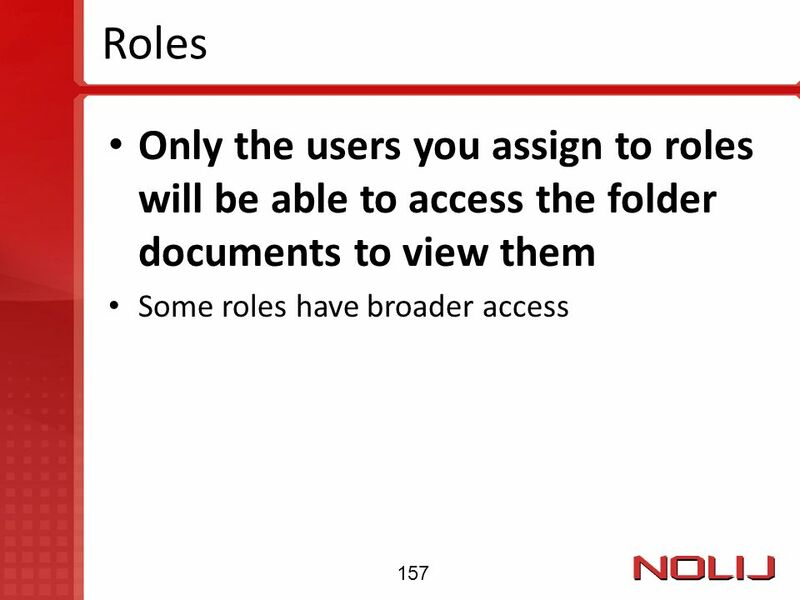 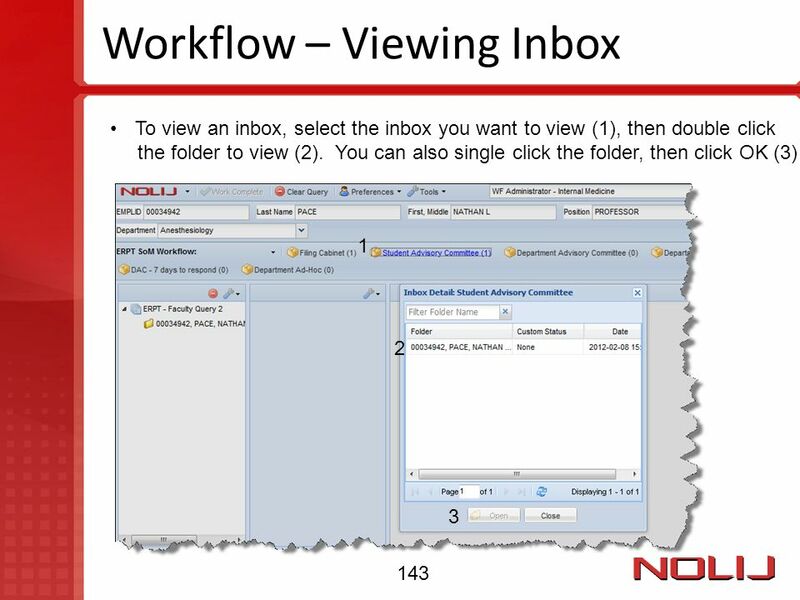 Download ppt "Nolij Web End User Training Version 6.5"